We are thrilled to announce that we are hosting an exhibition with our friends from Paradigm Gallery + Studio. 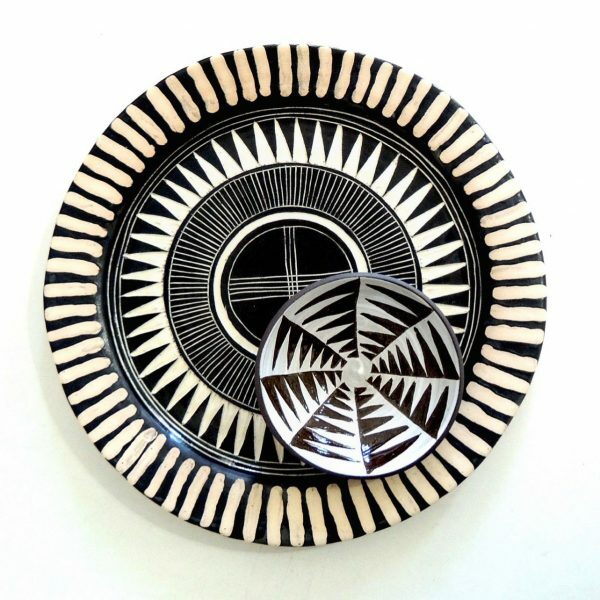 They have curated a line-up of 8 artists who will be exhibiting work that explores geodes and gemstones. 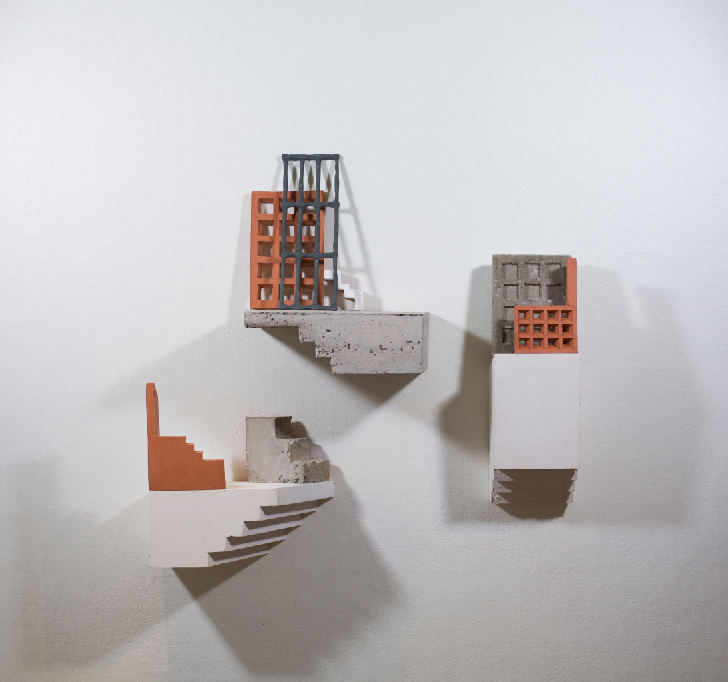 The title is “Natural Growth” and will be up in our gallery space from June 23rd – August 12th. 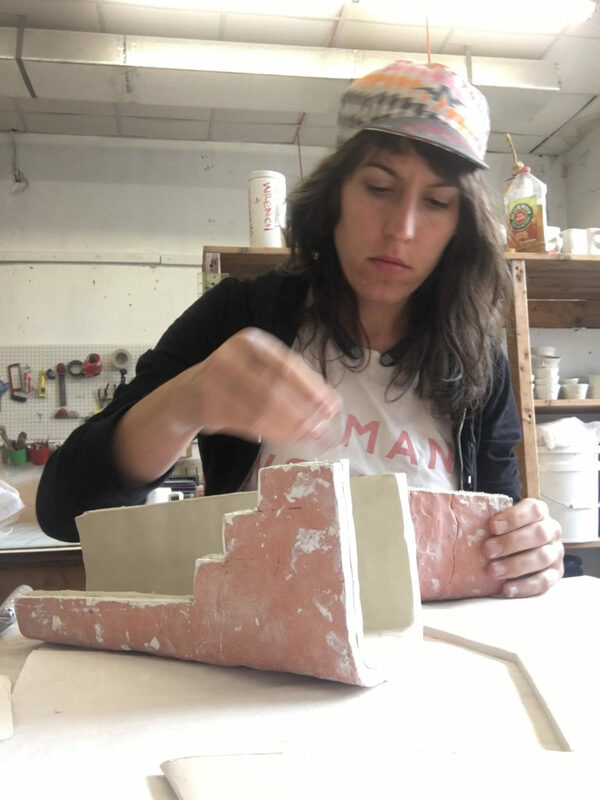 Participating artists include: Clint Tillman Reid, Zoë Williams, Paige Smith, Tyler Thrasher, Lucy Price, Kate Glasheen, Caitlin McCormack, and Seo Kim. Please join us for an opening reception with the artists on Saturday, June 23rd, from 7-9pm. Light refreshments will be provided. 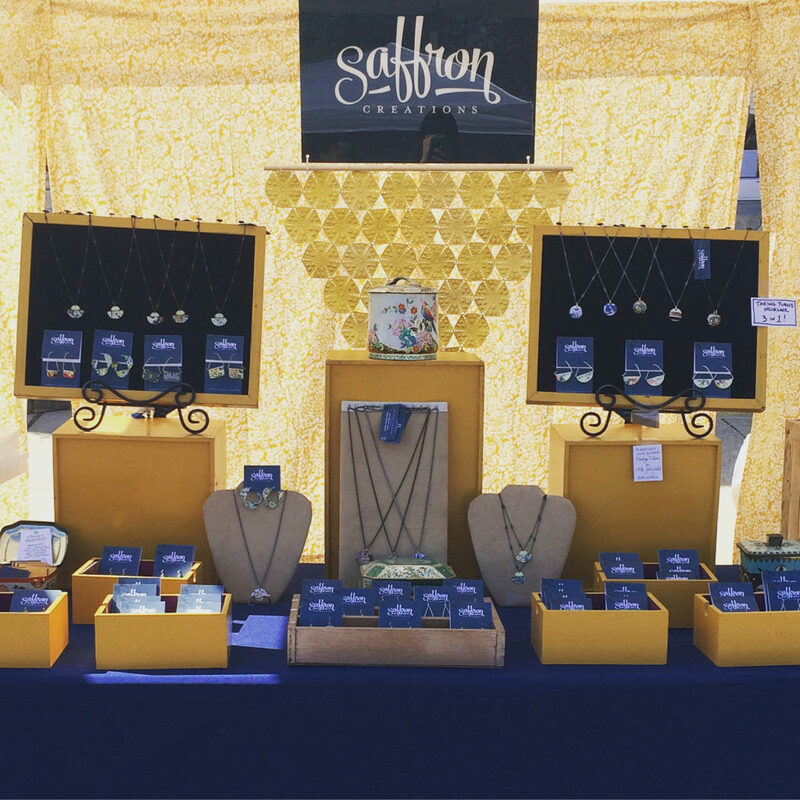 Hello my name is Devin and I’m the maker behind Saffron Creations. 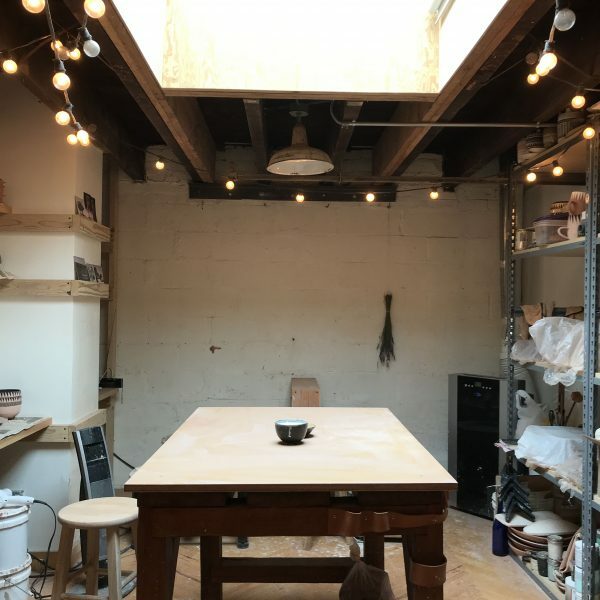 I work from my home studio in the Germantown section of Philadelphia where I live with my husband and two sons. 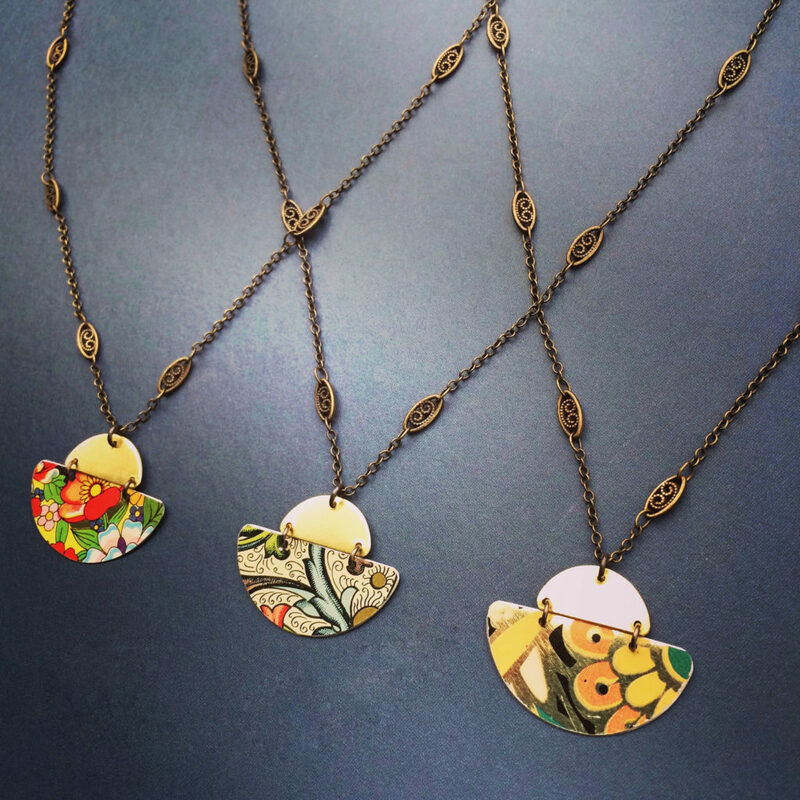 I design and create jewelry from vintage tins that were manufactured in the 1960s and 70s in England to store items such as tea and cookies. 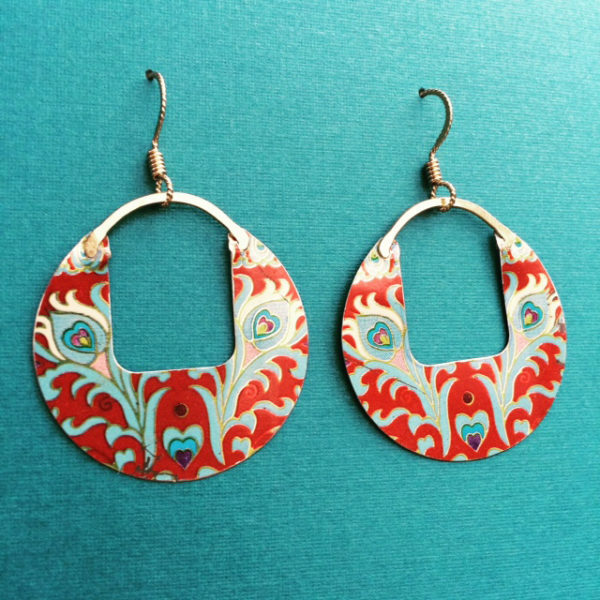 The very first time that I cut up a tin was about eleven years ago, when I had been making various types of “regular” jewelry for a while. 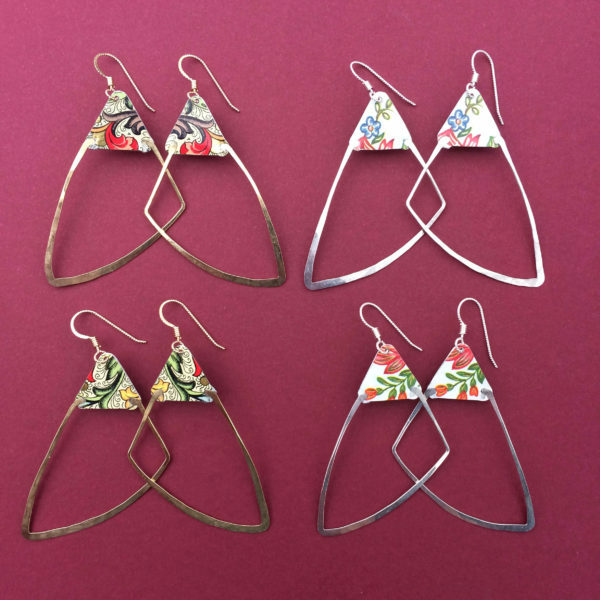 I had a lovely purple Art Deco tin that belonged to my maternal grandmother and got the wacky idea to utilize the gorgeous patterns by turning it into jewelry. A few frightening moments later (wondering if I was just destroying a sentimental treasure!) I realized that it works! It works really well. And that was the beginning of my journey as Saffron Creations. 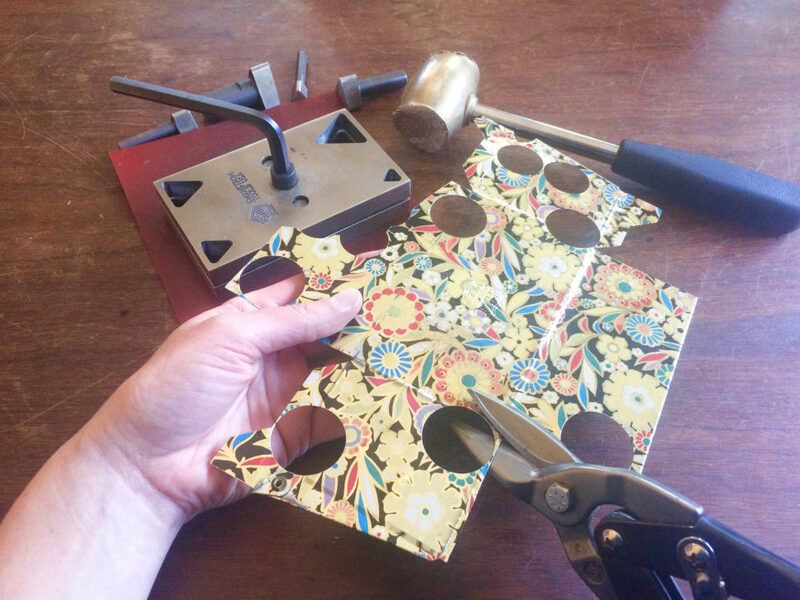 I start by cutting the tin canisters into flat sheets using metal shears, then with my ever growing collection of steel disc cutters, I hammer out little bits here and there that speak to me. Each piece of tin is then carefully filed, sanded shaped and drilled. I utilize “cold connections” which is a jewelers term for connecting pieces of metal without using a torch, as the heat would destroy the colors and patterns on the tin. I incorporate a lot of forged sterling silver and brass wire into my designs, which compliments the sometimes intricate tin instead of competing with it. 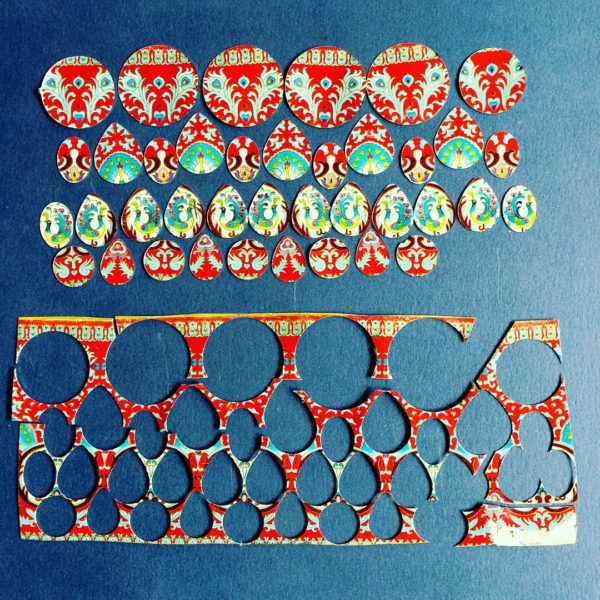 When I cut up a tin I marvel at it’s beauty and get SO excited for a glimpse into it’s next life as jewelry. I use every little piece that I can and the bits that I don’t use get recycled. 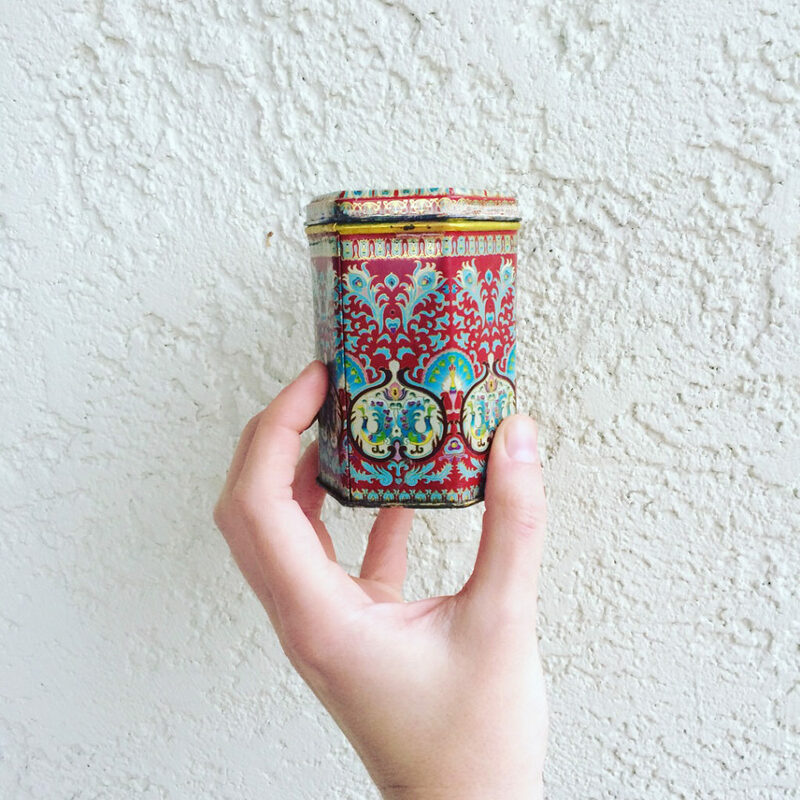 Instead of this particular 4 inch tall vintage tea tin (above) collecting dust on one person’s kitchen shelf it will be loved, admired and worn out in the world by 30+ people. Customers often ask where I find my tins and it’s a long answer because I have many sources. 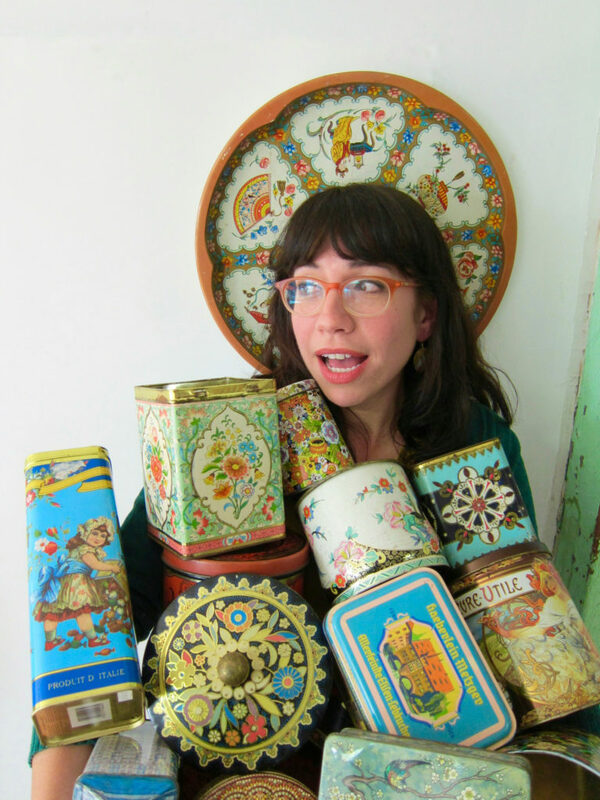 I search the usual places like rummage sales, flea markets and antique malls, but after running Saffron Creations for so long, family, friends and customers have caught on and bring me loads of tins on a regular basis. It’s like having a fleet of “tin spotters” and I’m so grateful. I also have a handful of patterns that are my best sellers and those tins I source on Ebay or Etsy. 2018 will be my 6th (!) year returning to the Art Star Craft Bazaar and it’s one of my absolute favorite local events. Each year I discover new makers from all over the country and bring home at least one little gift for myself. Visit me in booth number 65. 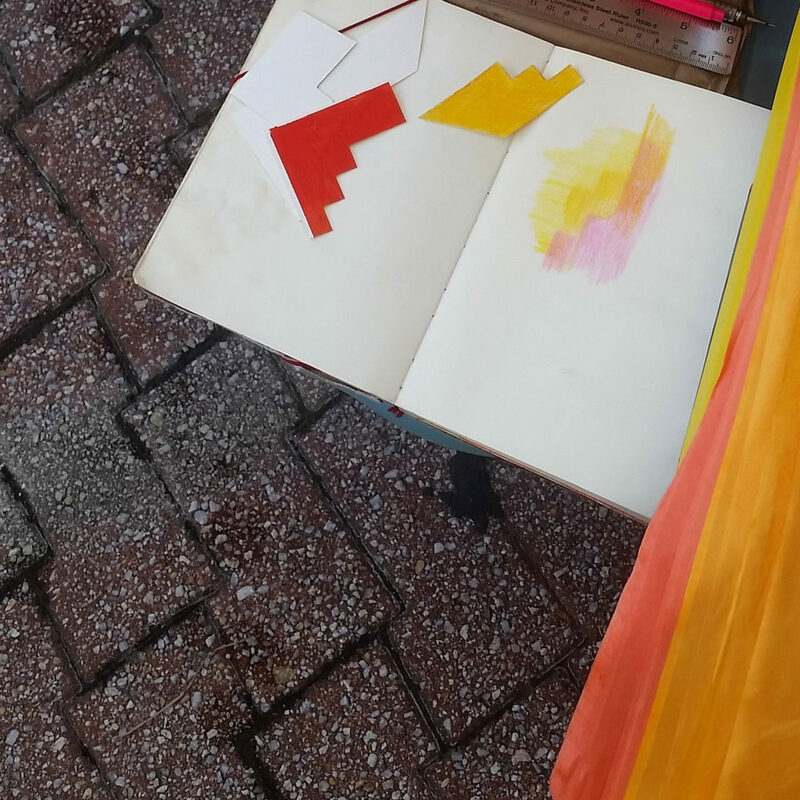 Just look for my bright and colorful tent display! All you have to do is play and you will discover wondrous things. That’s how I discovered what you are seeing in these photographs. In year one of grad school I had no idea what I was going to end up doing so I just played and experimented with everything I had around me. I did have a few underlying wants and limitations that pushed me in this direction though. 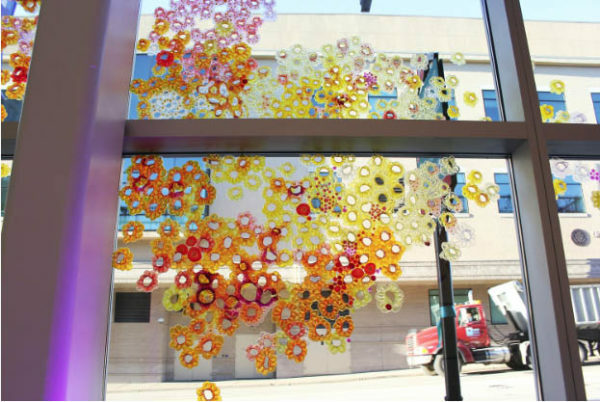 First, I have always wanted to work with glass since I was a little girl because my 2nd cousin was a phenomenal glass artist. I remember we had a piece of his that was a rainbow with two clouds and wind chimes hanging in our kitchen window. Apparently this had a very big impact on my art, because every medium I have ever touched, including digital 3D rendering, shares many of the enchanting qualities of stained glass. Funny enough, I actually got a grant to start glass blowing in grad school, but tore a tendon in my leg at the same time and couldn’t meet the physical demands that this activity required. Fortunately this limitation led to me creating what I call my ‘cells’. 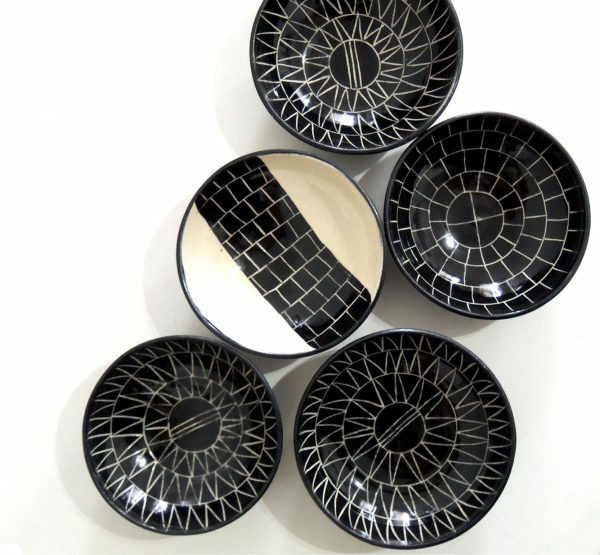 I call them cells because each round disc that has a center reminds me of a cell and I am kind of obsessed with biological forms. 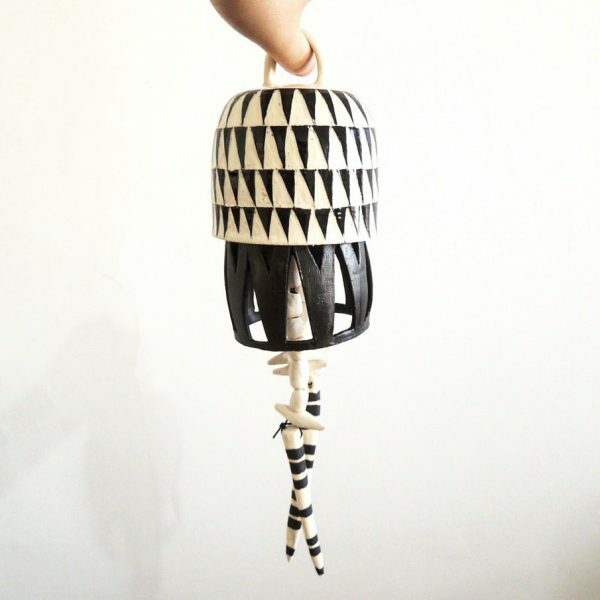 When I build with the cells to create a larger sculpture I call it a ‘synthetic organism’. So how did I discover this material through play? 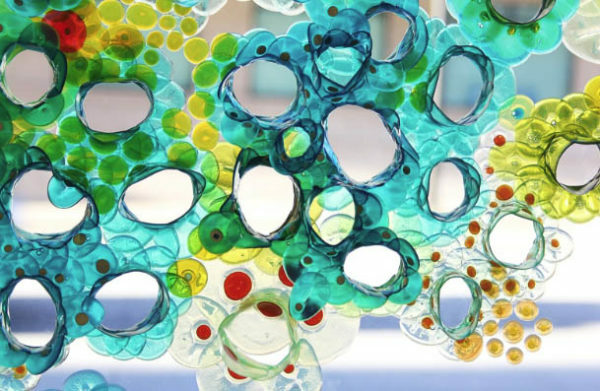 Because of my love of glass I am attracted to any and all materials that are translucent, transparent, colorful, and have the ability to be layered. There was a lot of glue laying around my studio so somehow I just started drawing with it. I remember that I would usually draw detailed biological forms with the glue. At around the same time I was exploring how to get people to interact and get involved in the art making process. I would draw on the ground with the dyed glue and invite people to peel the drawings off the ground and place them on a blank wall. Watching these glue drawings transform from a 2D material into a 3D material when it was peeled off the floor was also very inspiring. On the day my cells were first made, I was trying out a new material and drawing the same kind of complex biological forms and then the idea to just make a dot struck me out of nowhere. You see, I always used to overcomplicate things and my art was incredibly packed with hand drawn detail. I had no clue how a dot was going to be interesting at all, but I just went with it. The next day when I came back to see how everything dried I immediately went for the more interesting forms, but when I finally peeled that simple dot up and held it in my hand a rush of ideas came a pourin’ in! 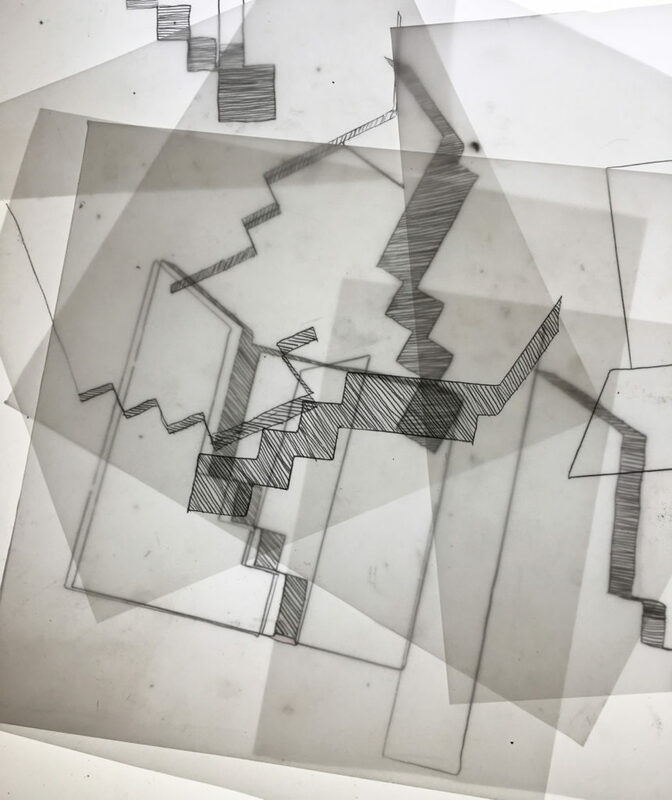 From then on I poured my attention into what I now call my ‘cells’ and slowly they evolved from ‘2D’ drawings into the big beautiful glass-like synthetic organisms that they are today. 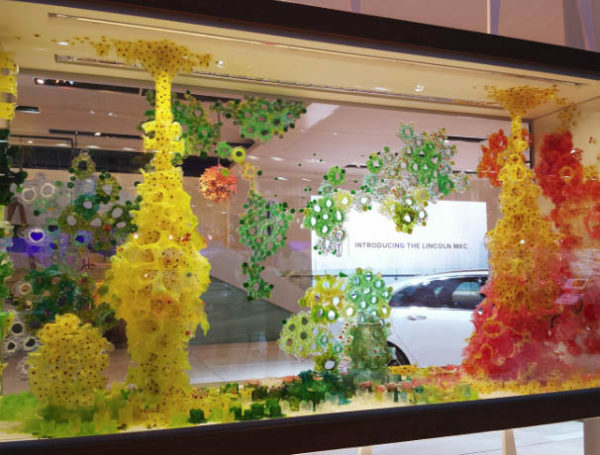 Since then I have covered museum windows with them, made a large diorama for the International Auto Show, and installed sculptures made with them in medical centers. Now I am putting this zen, easy to build with, and might I say enchanting material into your hands. 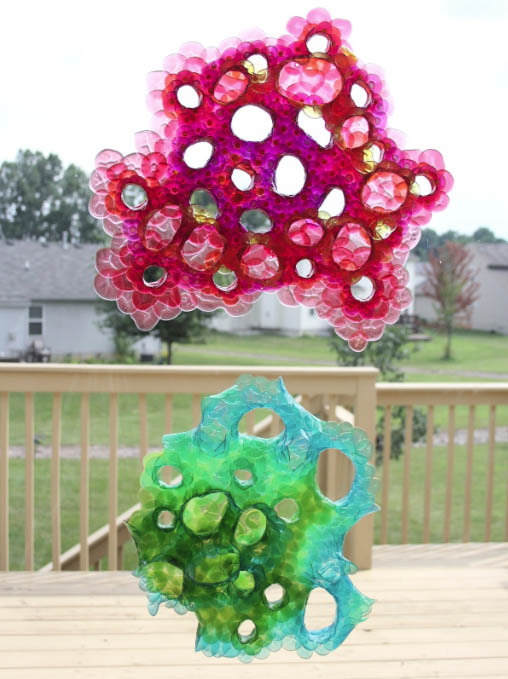 At the Art Star Craft Bazaar on Mother’s Day weekend I am so incredibly excited to share the joy of making these sculptures that have almost all the beauty of glass without all the heat and years of practice! What a better gift for your mom than to be able to do something she surely has not seen or done before! It is so simple to do, all you have to be able to do is press your thumb and your forefinger together! 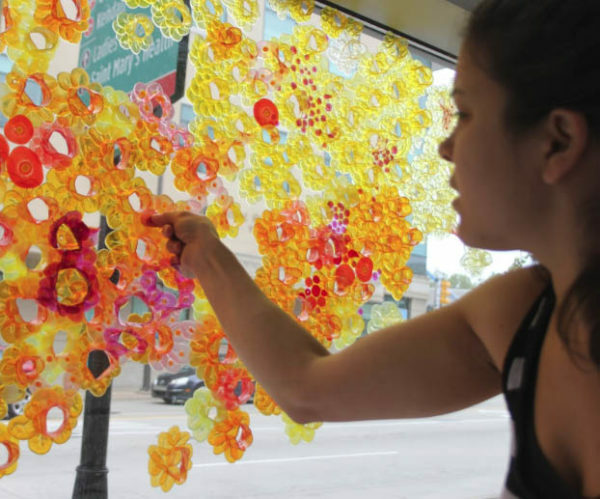 And once you make your piece you can stick it on any surface that the sun shines through and watch it illuminate! 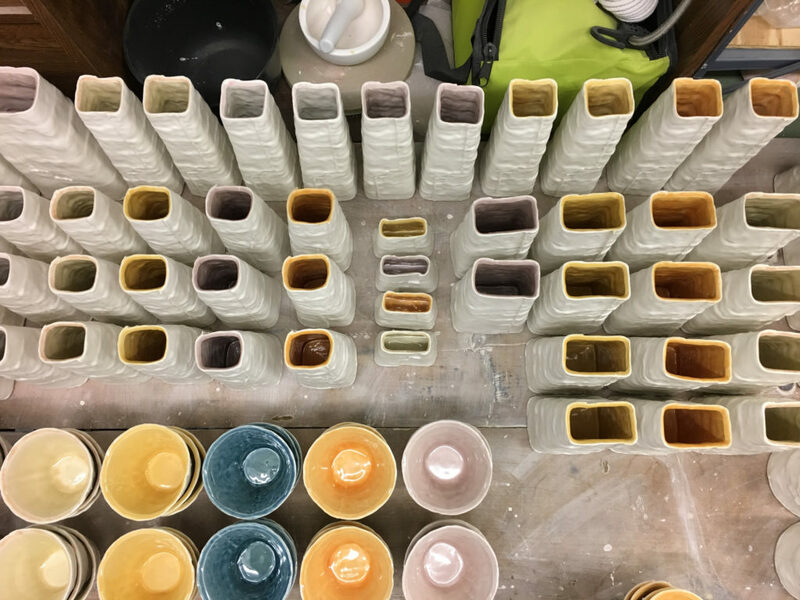 I will also be hosting Zen Glass (what I am currently calling this workshop) and Color Flow workshops out of JJL Studios at the 1241 Carpenter building throughout the summer where you can come in and build larger pieces and maybe even a chandelier! If you sign up for our mailing list at this event you will get a discount on our future workshops and also be the first one to know about them! 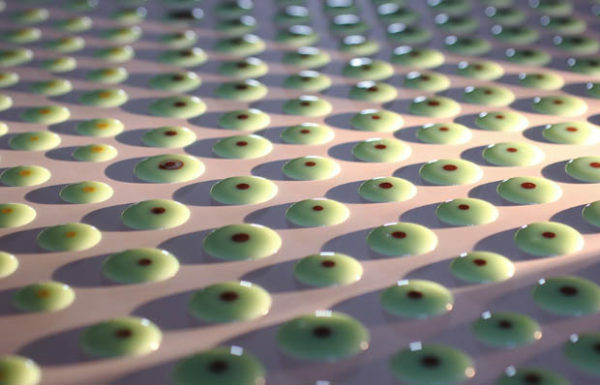 Click here to watch a timelapse video of me making a synthetic organism. Hello! 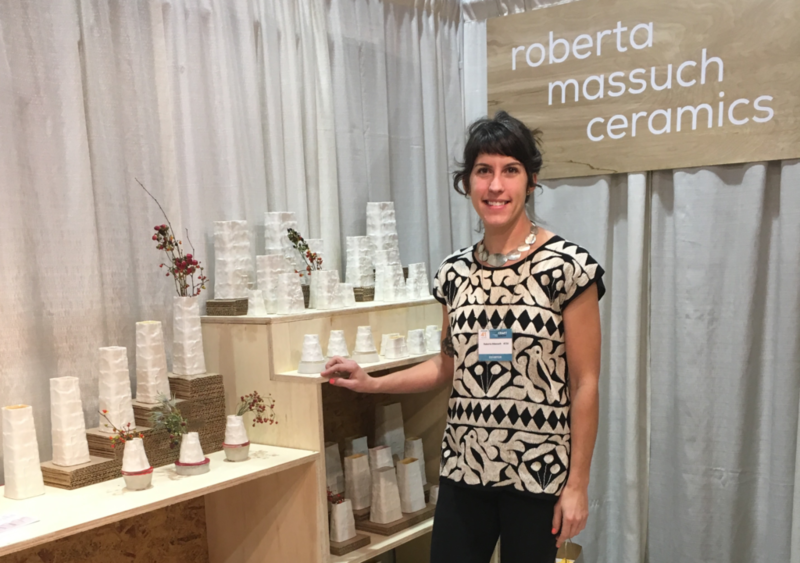 My name is Roberta, and I am the maker at roberta massuch ceramics. 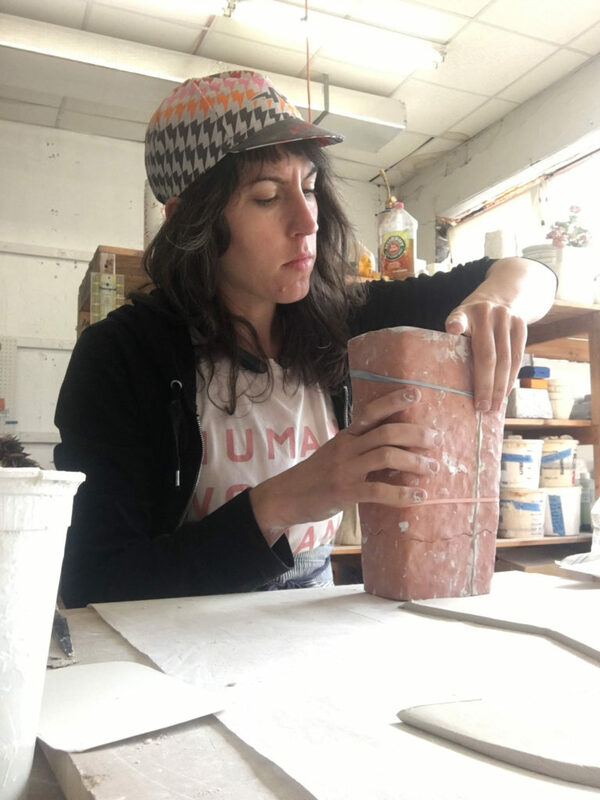 I create handbuilt porcelain pottery, sculpture, and drawings at The Clay Studio (Philadelphia, PA) where I am a Resident Artist. 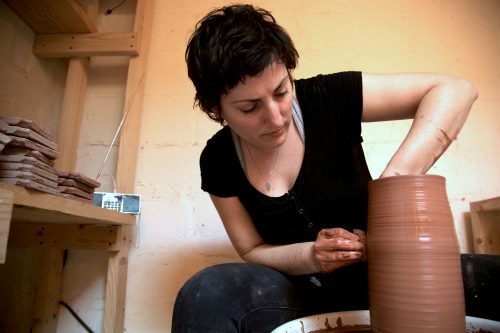 I’ve been working with clay for over 16 years, 5 of them here in Philadelphia. I am excited to be returning for my second Art Star Craft Bazaar! 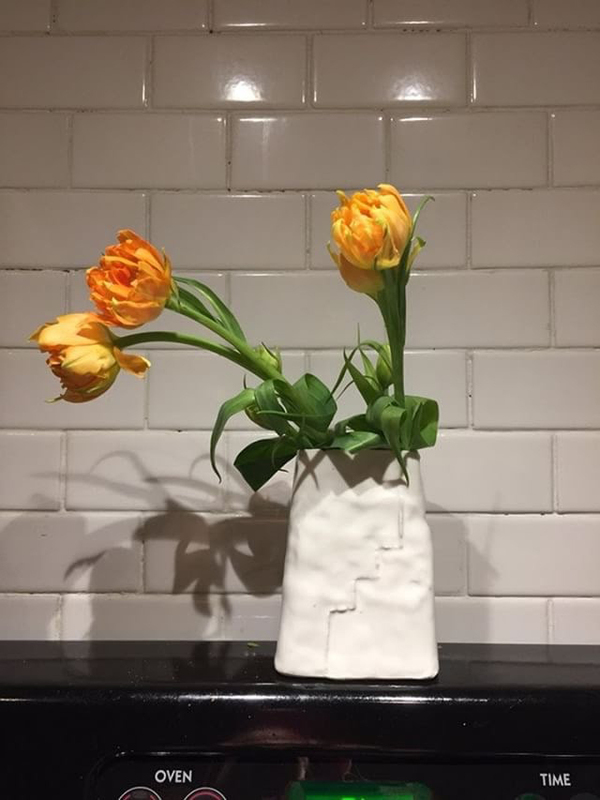 The work I will be selling is the line of pottery I developed over the last two years using a unique method of building. 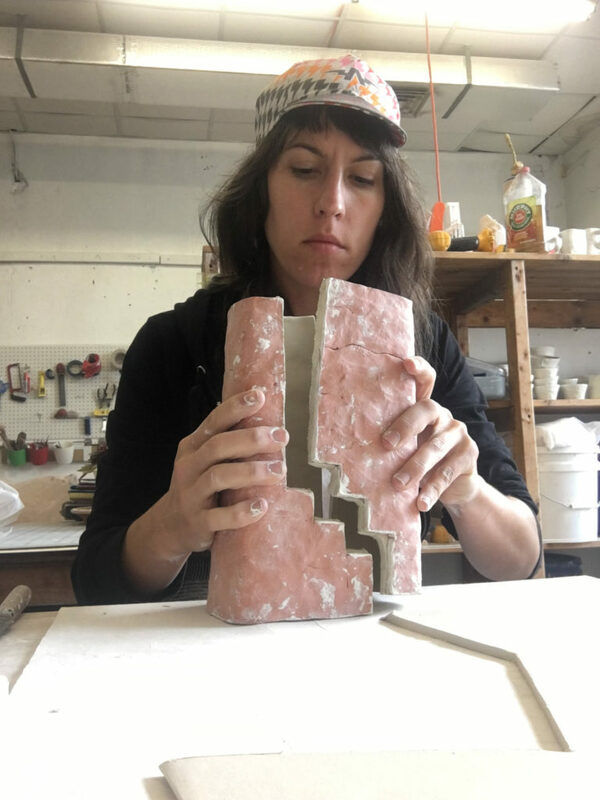 I create molds by coil building a form, cut it in half, and fire it in the first firing (bisque). 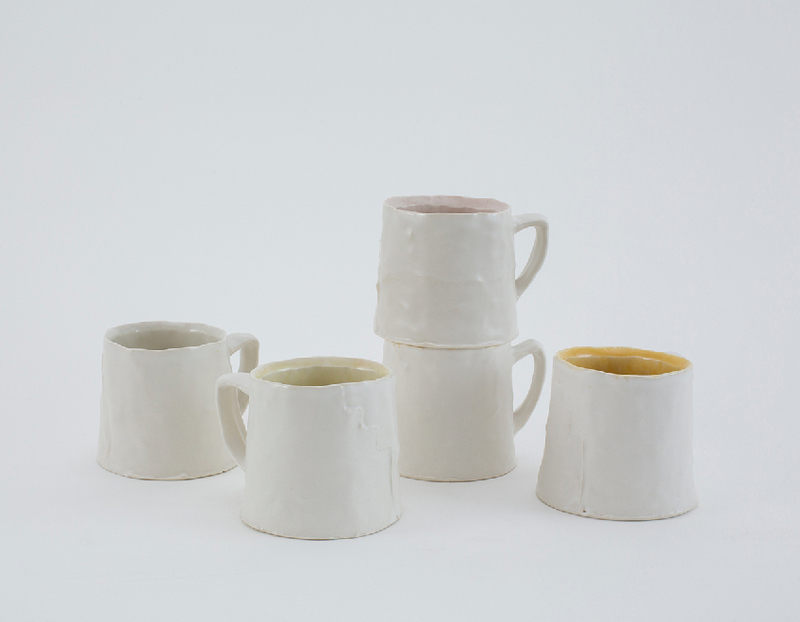 Then I use the ceramic form to press slabs of porcelain into the interior shape. 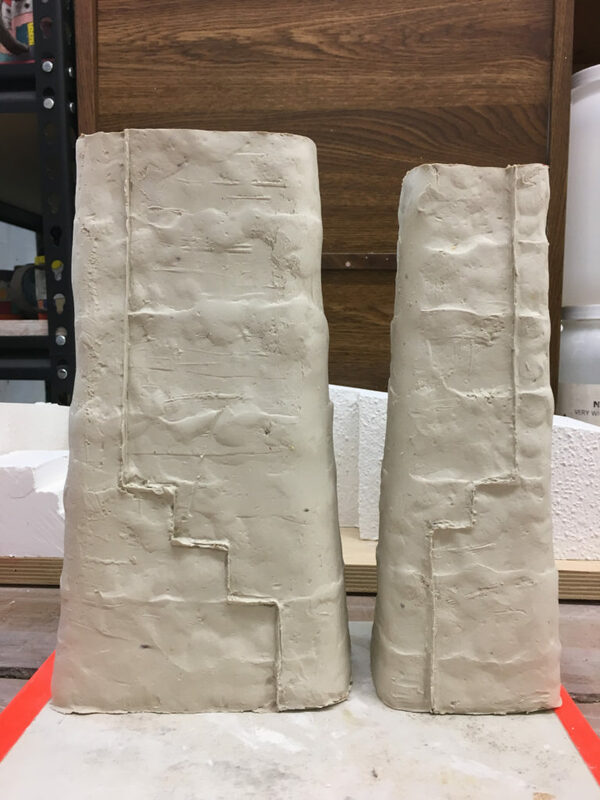 This allows for the texture on the final piece to reflect the way my hands coil and pinch the original form – leaving a bumpy texture and evidence of the molding process. I look to architecture for inspiration (Mexican pyramids, mid-century Modernism, and contemporary buildings) both in form and color decisions. 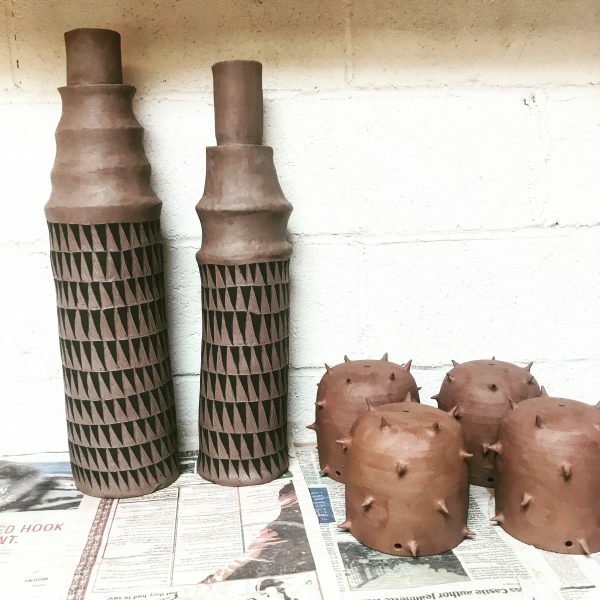 I think about how my minimalist; architectural pottery forms can become like little ‘cities’ or still lives when stacked or arranged in groups. 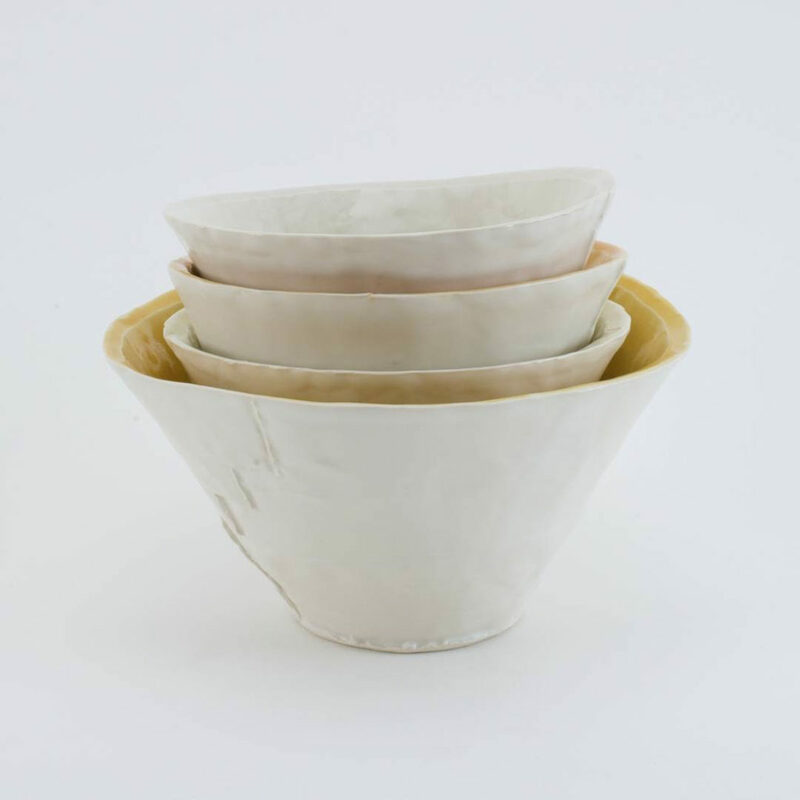 Quiet, simple vessels with white exterior surfaces are inextricably involved with nearby objects, and it is intriguing how the surface of one always affect the perception of another due to shifts in the intensity and direction of light covering the forms. 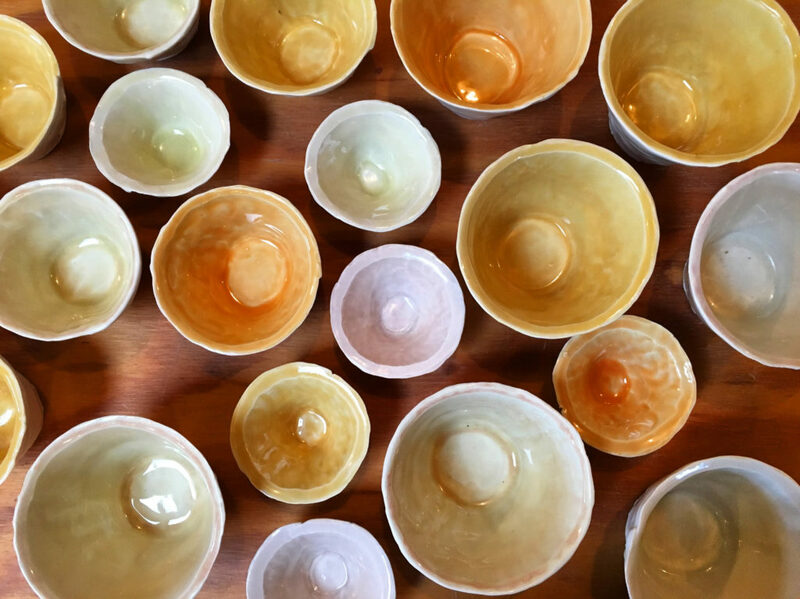 Architectural, yet soft and inviting— the cups and bowls I make are asking to be held, to be touched, to be used. 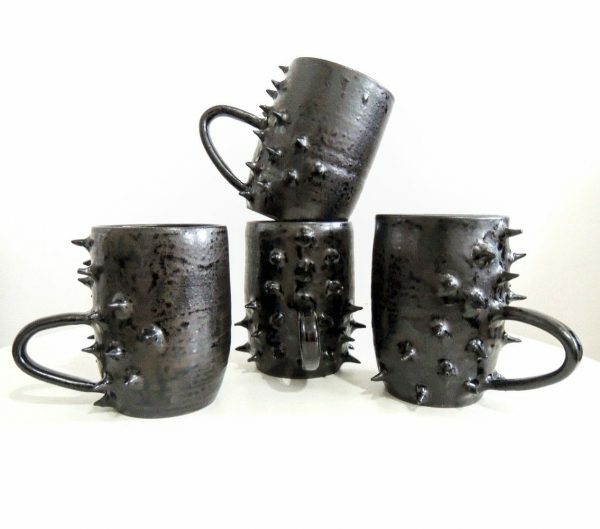 All of my pottery is microwave and dishwasher safe. Durable and ready for everyday use! 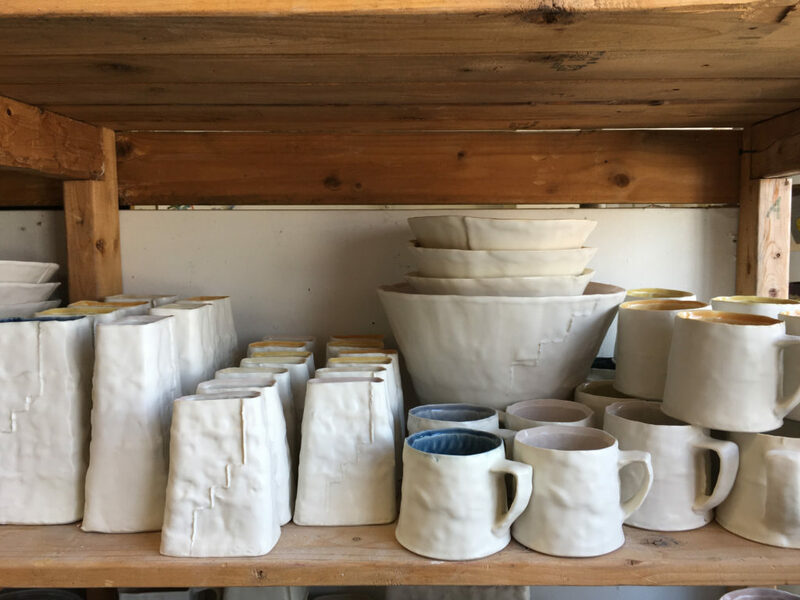 In addition to my booth at The Art Star Craft Bazaar, you can find my work at The Clay Studio (Philadelphia) in person or online. 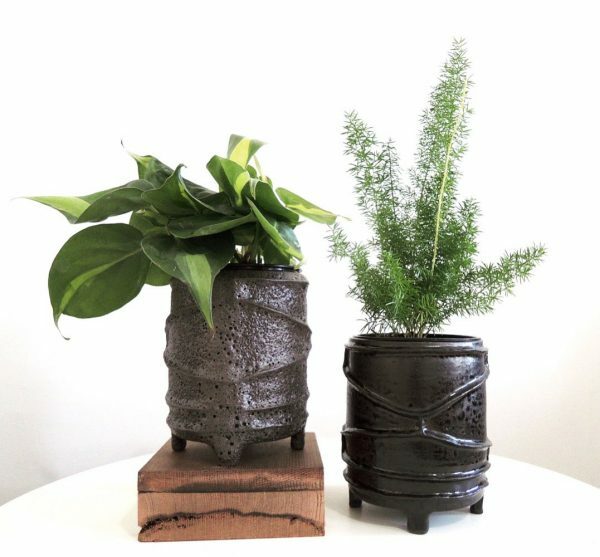 I am constantly making new pots, so keep an eye out by following me on instagram @bertiegoldtooth to keep up to date on what I have coming up next! This beautiful yet simple quote by Suzy Kassem was the beginning to my creative journey. I’ve learned that only through trial and error will we find our way to our goals. And so, with doubt aside I created YouTube videos documenting my newly learned obsession with bullet journaling. And then soon after, I started to receive requests of my artwork within my videos and that lead to Etsy at the end of 2017. 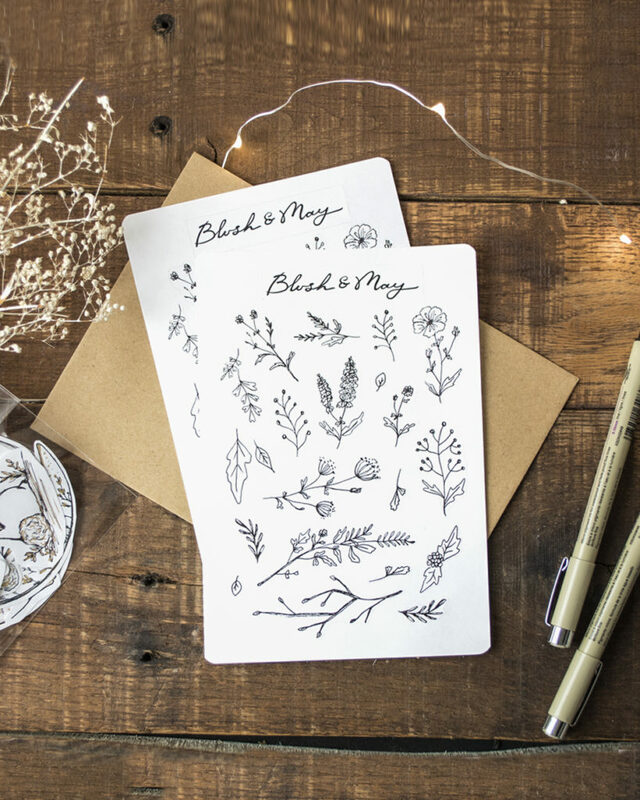 By January 2018 Blush & May was in full production as a new small journal and stationery brand. 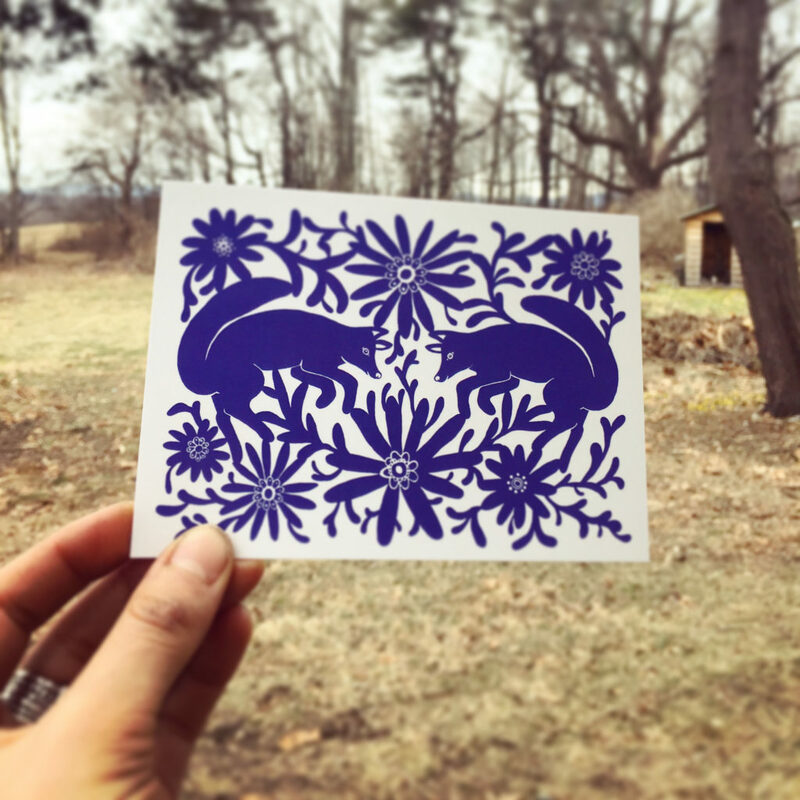 Now I have a full range of journal printables, art prints, stickers, and journal cases all inspired by nature and my imagination. My dad’s favorite line was “don’t worry, be happy.” It was as if he knew that everything would work out. And when he said those words, somehow, like magic, everything always worked out. I don’t know where my journey will take me, but I do know that everything will unfold magically as he believed. Life is similar to a rollercoaster and sometimes we need to simply enjoy the ups and learn from the downs. 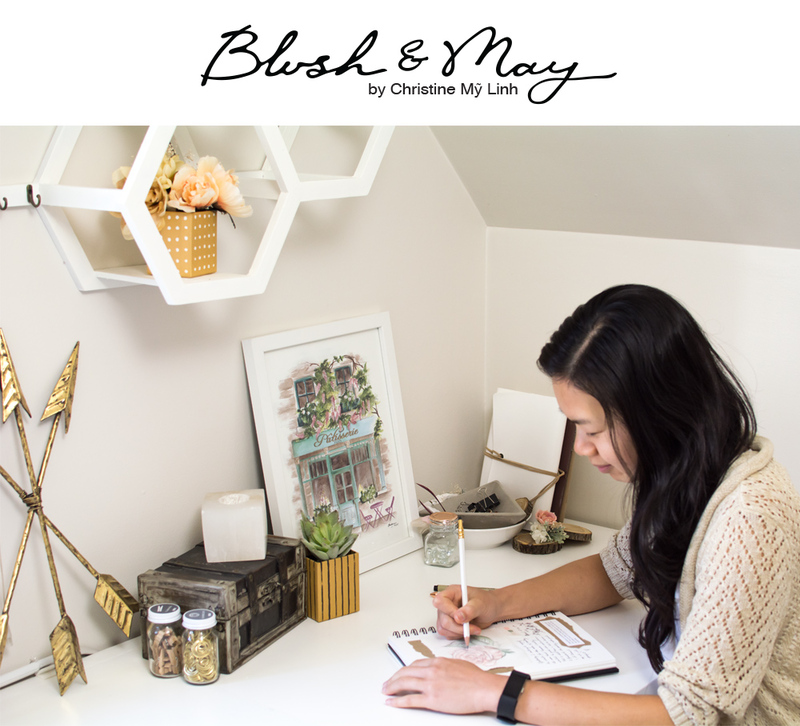 Plus I have a future vision for Blush & May that I will pursue with conviction and humility – which is to partner with local charities and nonprofits to create special product lines inspired by the organization to promote awareness. My hope is to accomplish this goal by the end of year. It has been an exciting few months and I can’t wait to see what else we can achieve in 2018. 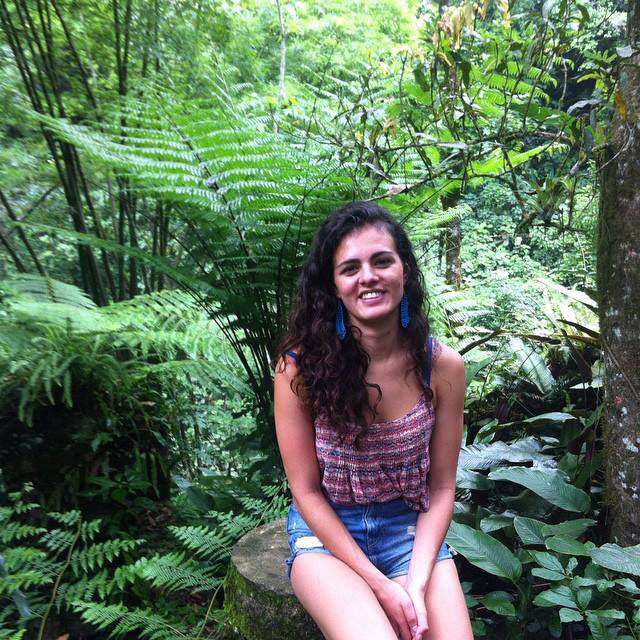 My name is Christine My Linh and it would be lovely to meet you at my very first craft fair! Please stop by booth #9 at the Art Star Craft Bazaar on May 12th & 13th, you’ll be greeted with so much love! 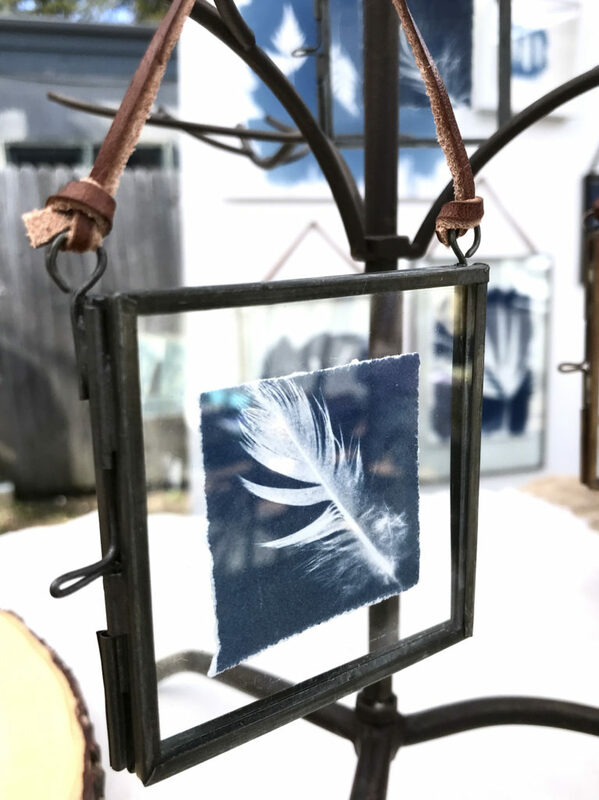 You can also connect with me on Instagram, Etsy, and/or YouTube if you like! Leave me a comment telling me that you found me through Art Star and I would love to say hello! Cheers to a wonderful year for everyone! 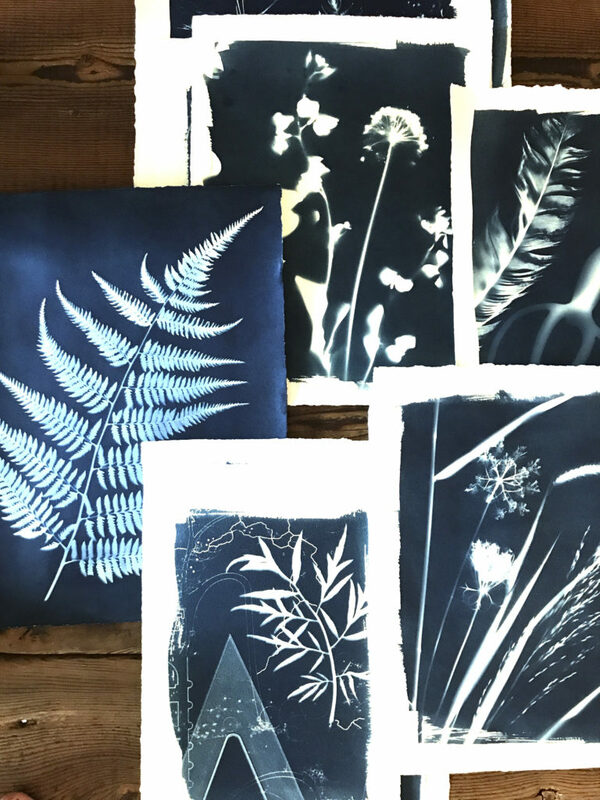 I’m a photographer and printmaker who loves combining her passion for the natural world with historic photographic processes. Atwater Designs is named for my mom’s side of the family. I also grew up surrounded by water on the Eastern Shore of Maryland and find as an adult that I need to be near water to feel alive and grounded. The name is both my identity and my yearning. As a child, I loved exploring the outdoors mostly because it was the way my father and I got to spend time together. He taught me about the names of plants and trees. Together, we got our hands dirty in flower and vegetable gardens. These are some of my fondest memories. Those moments instilled in me a desire to be outside as often as possible. 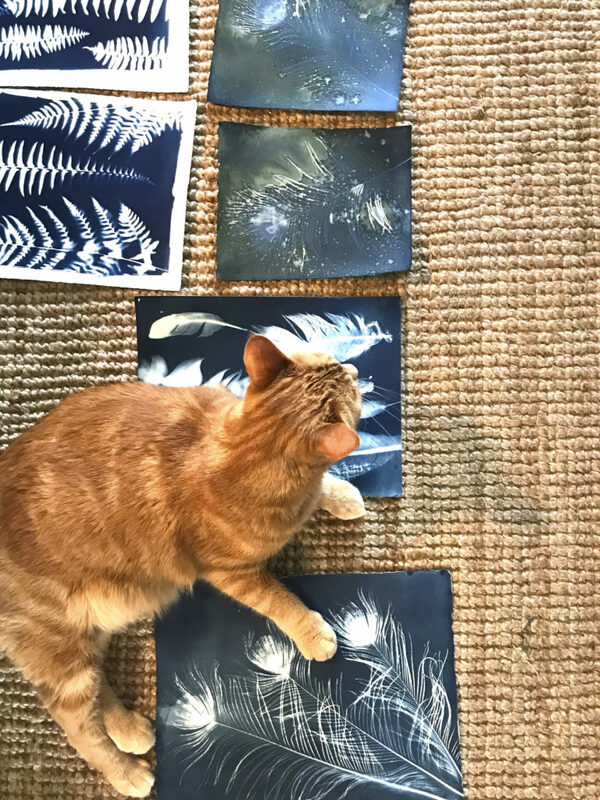 My creative process begins with walking the natural world around me and gathering specimens from which to create my prints. 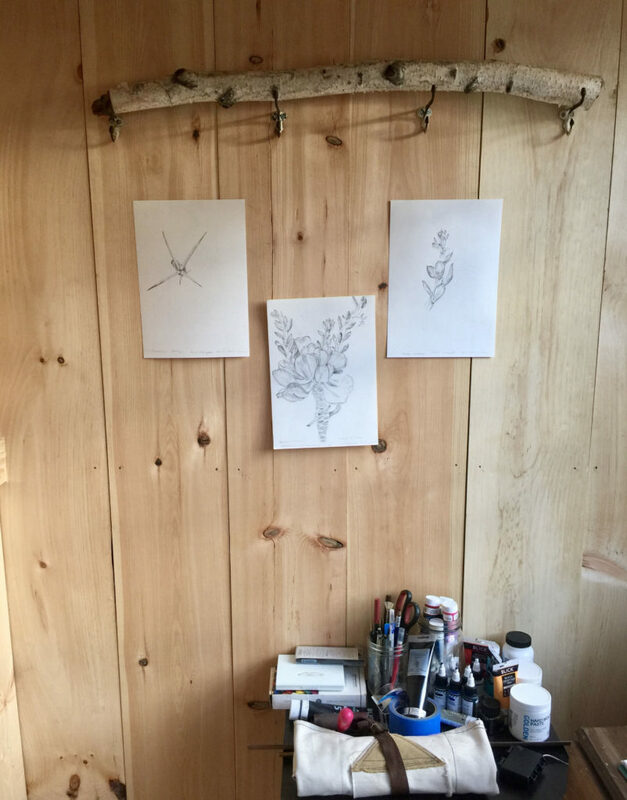 My hope is that in the creation and encasing of them into small frames and boxes, I am enabling others to invite a little specimen of the natural world into their homes. 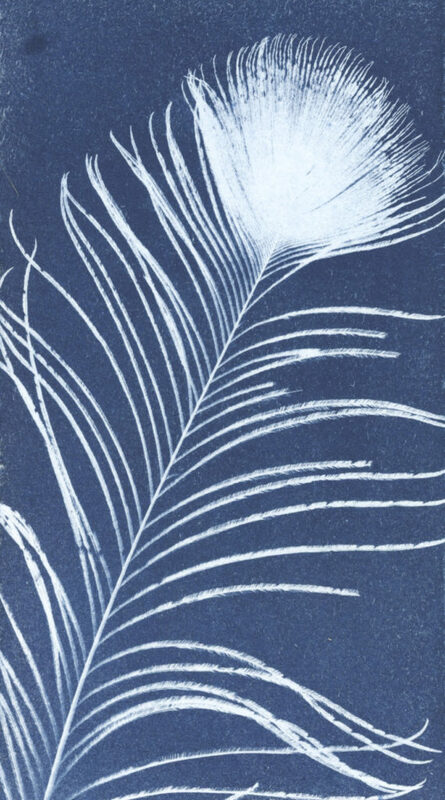 My original blue botanical prints are called cyanotypes since they are made with a photosensitive chemical that turns blue, or cyan, upon development. 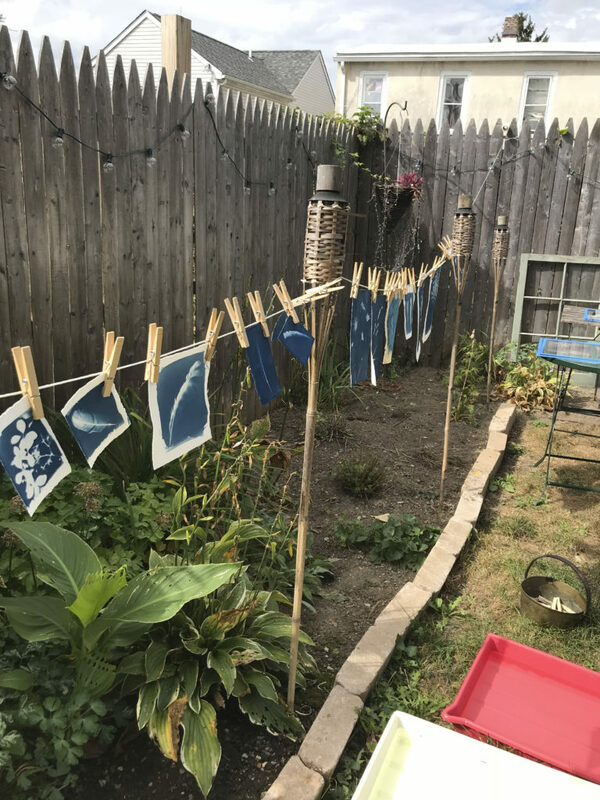 As I walk wooded trails near my home with my dog, Tallie, I am amazed at the variety of plants that would be ideal for the creation of future cyanotypes. I love letting my thoughts wander as I walk. 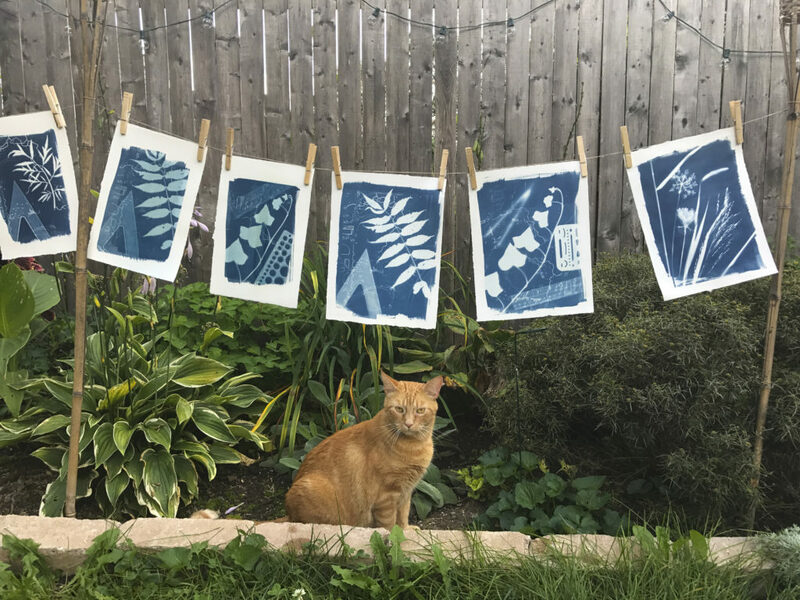 Creating the prints is my favorite part. 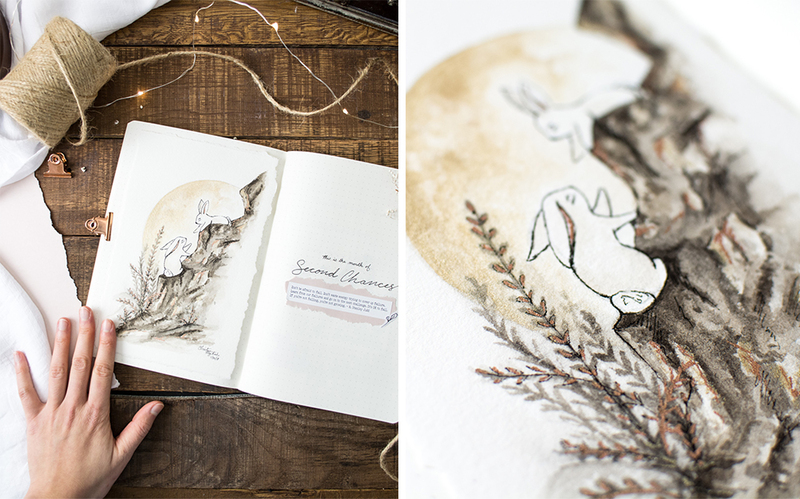 I often mix the chemicals and brush them onto paper a day or more before making the prints. I have better luck with more thoroughly dried chemistry. Then I get to select natural items I found while walking some of my favorite trails. 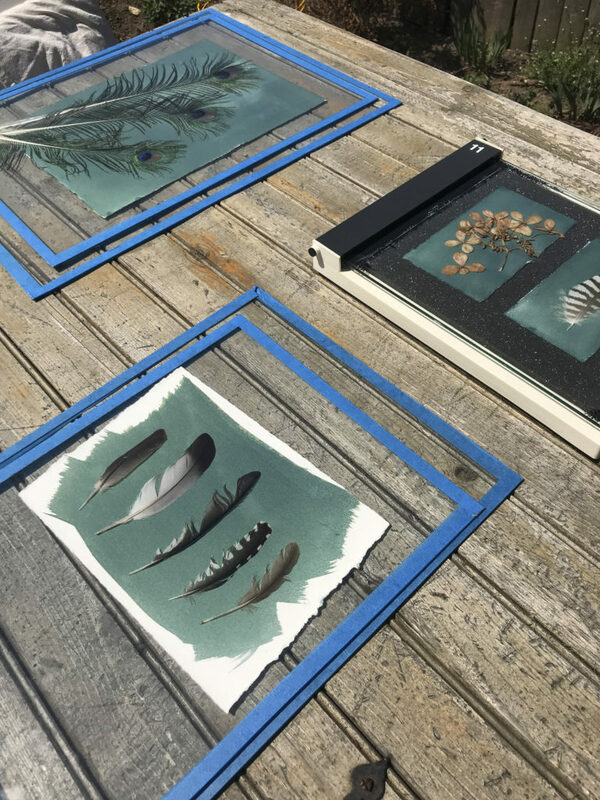 On a sunny day, I’ll arrange the plants on the coated paper, with an eye towards composition and considering how each plant will render once and then expose the print to the sun. Experimenting with exposure times and spraying my subjects with water has been really fun lately. 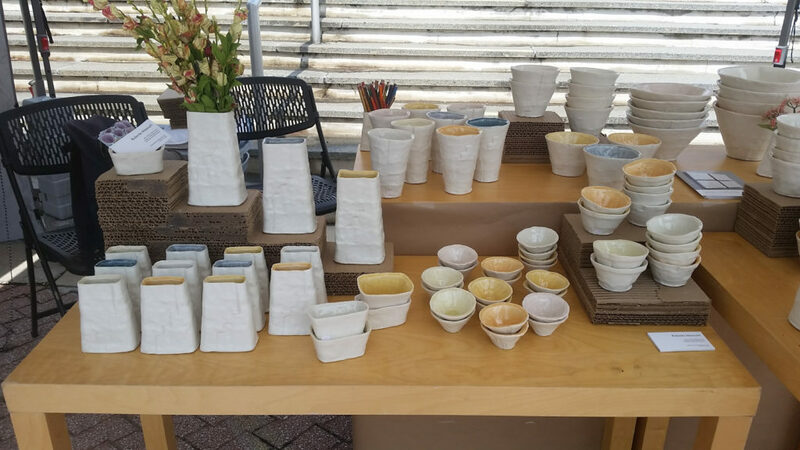 You’ll find me at the Art Star Craft Bazaar on Mother’s Day weekend – May 12 and 13 – for my first Craft Bazaar! I’m delighted to be included in this year’s line-up. Stop by and say hello – you can’t miss me, everything is blue! 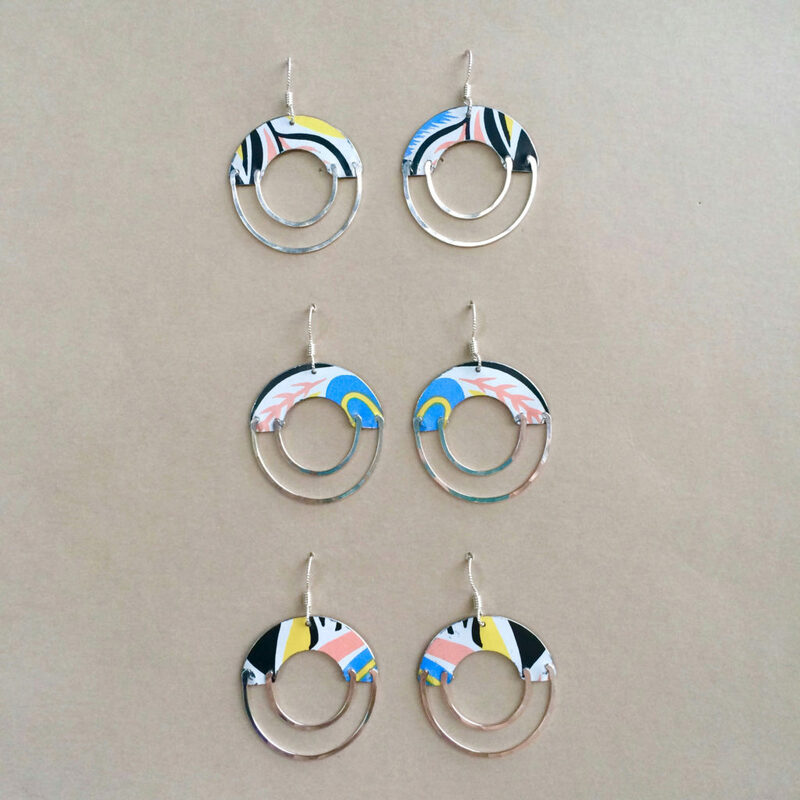 You can also find me at various markets this Spring season, online at www.atwaterdesigns.com, on Instagram (I love Instagram!) @atwaterdesigns and on Facebook. 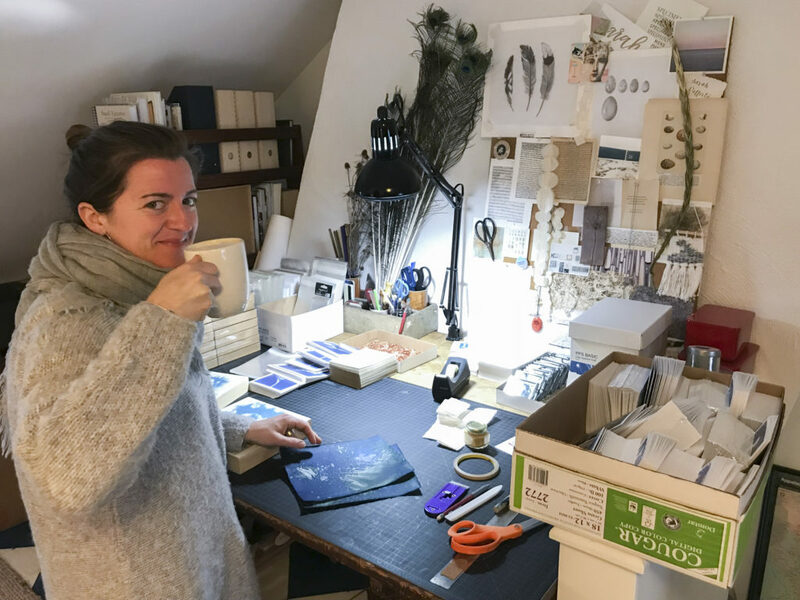 My name is Inés Chapela and Inés Sí Studio is the production house for my designs; from silk scarves to greeting cards and calendars, all the products are born here, with the stroke of my pen, pencil or brush. Part affirmation and part nickname, the name Inés Sí evokes my childhood nickname, Inési, while also expressing a joyful “Sí!” (yes in Spanish) to the world. 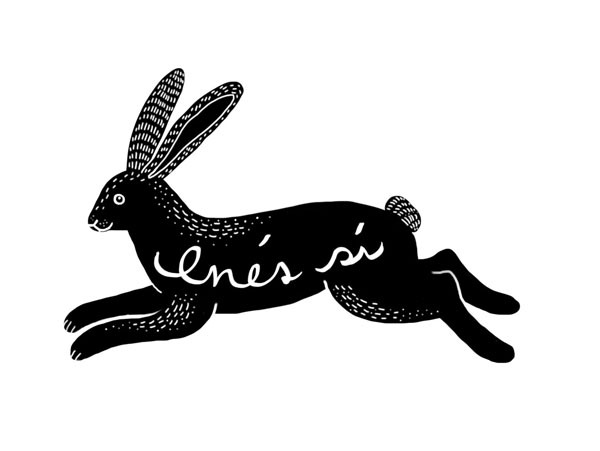 The playful rabbit in the Inés Sí logo is a nod to my love for the outdoors and my underlying desire to communicate through my art the sense of fulfillment that the natural world provides me. In a world that is quickly destroying natural spaces I truly believe that cultivating appreciation for nature is a powerful tool for conservation of these sacred spaces. 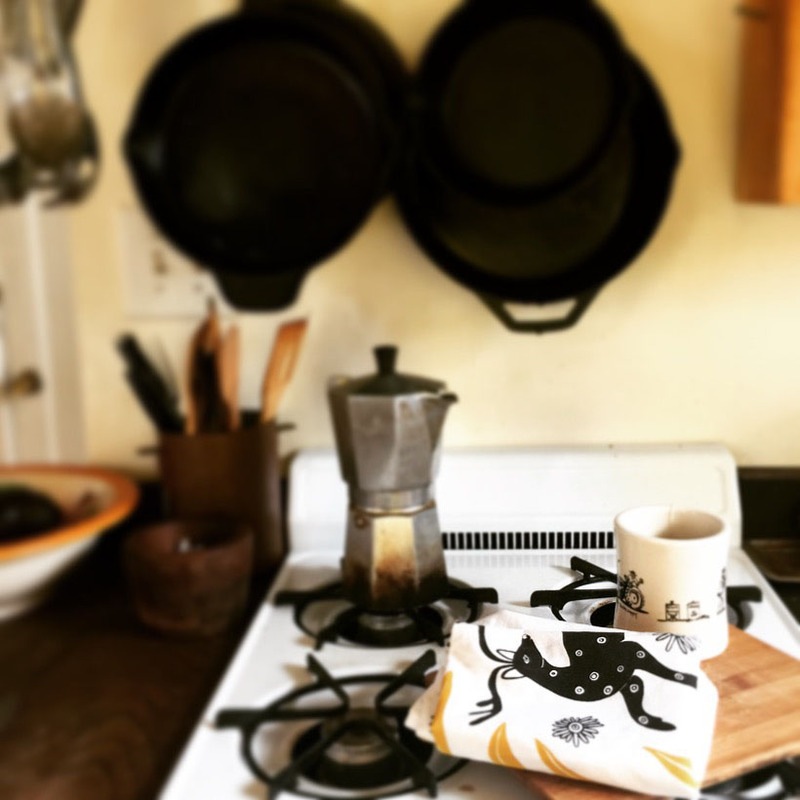 Mornings in the world of Inés Sí generally begin with a big mug of tea and a few deep stretches. 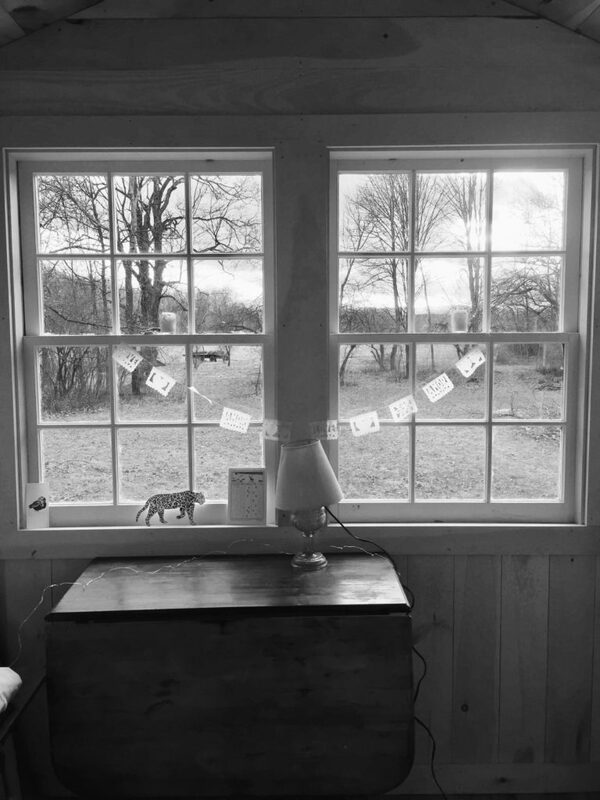 I relish these moments of the day, when the world is waking up and things are still quiet, the baby ideas in my head are just beginning to germinate and set root. 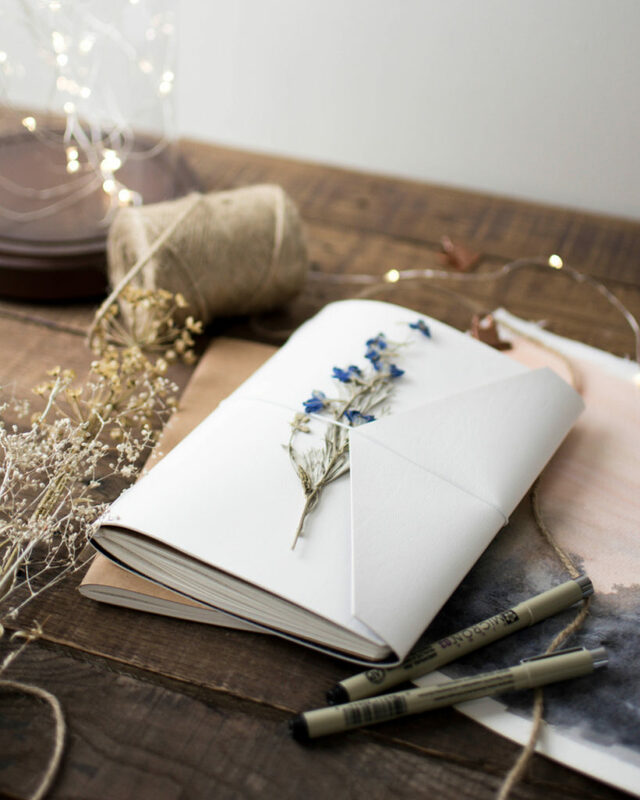 After breakfast, I’ll walk out to my studio in the field behind my house and make a list of the day’s tasks. If I’m in the early stages of design I will generally turn to reference images to find inspiration. 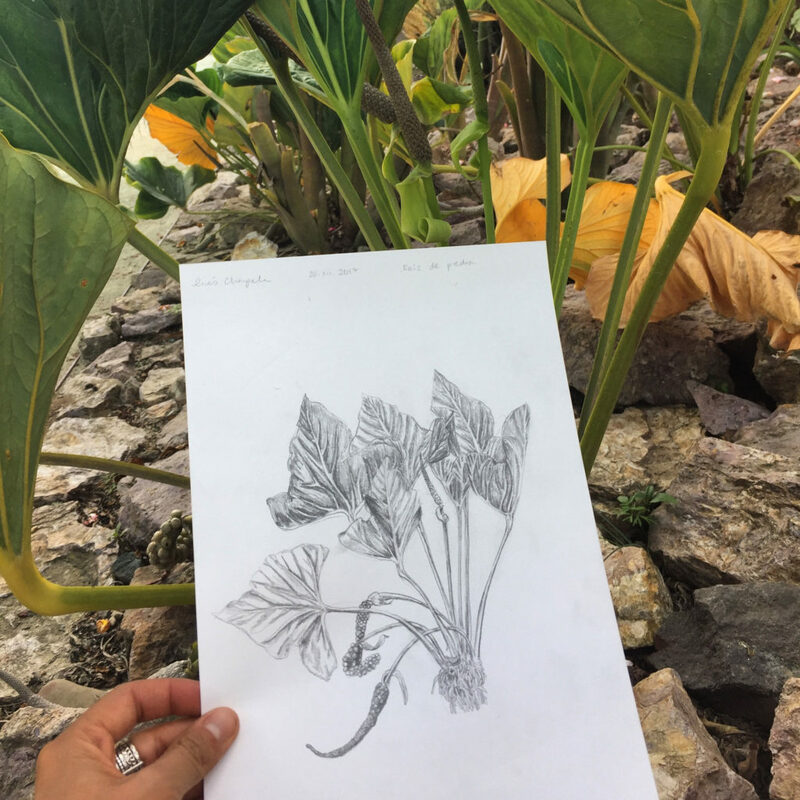 I love looking at old botanical illustrations and I also keep a sketchbook full of ideas and photos ripped from old magazines. Inspiration comes in all forms however, and sometimes taking a walk or a good conversation with someone might be an equally important guiding step in my creative process. 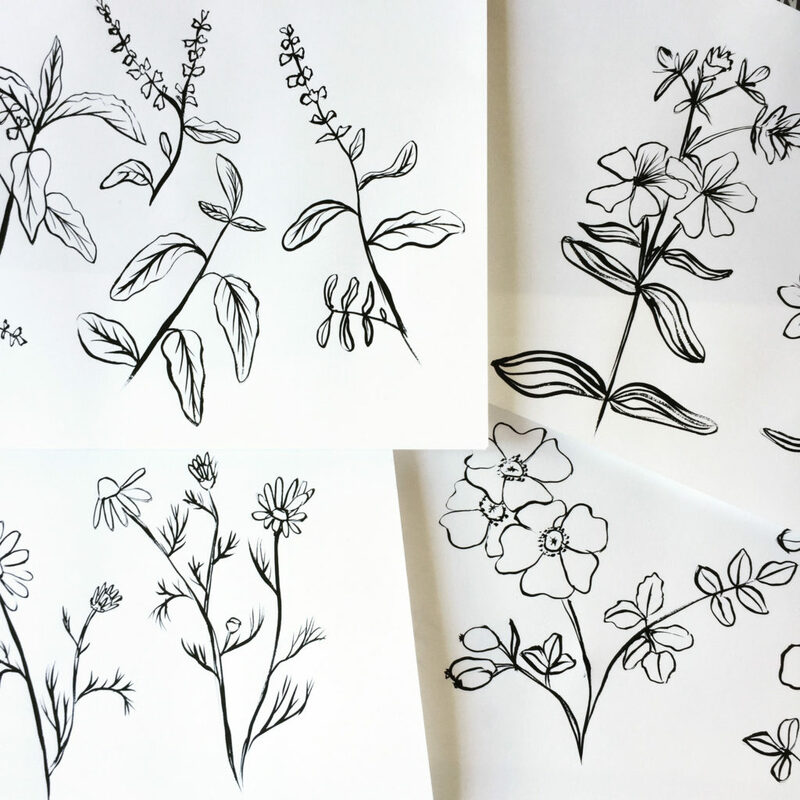 Once I have decided on an idea for my design I get started with a series of rough sketches. I usually begin working with pencil or ink and I make fast drawings; just enough to get down an idea for composition and style. 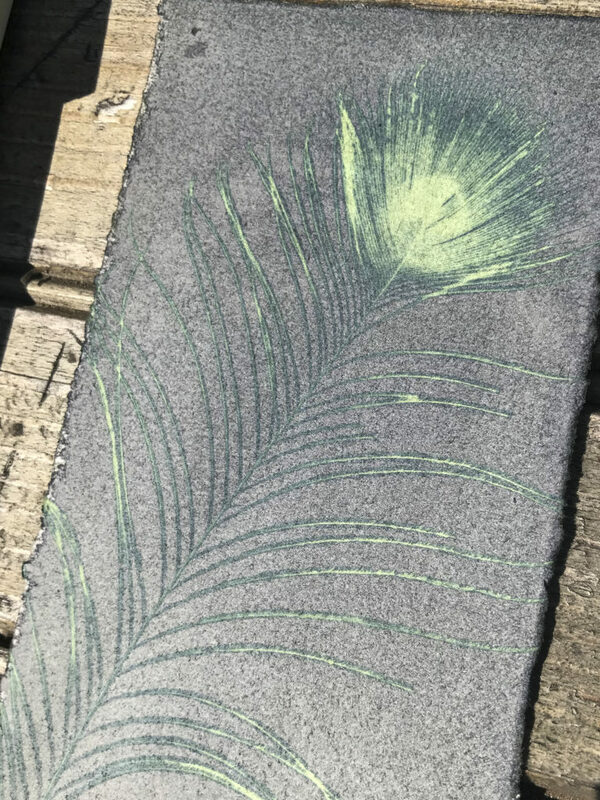 If I’m working a block print, I’ll continue to hone the sketches until I’m satisfied with the layout and then I’ll transfer them on to a block to begin carving. 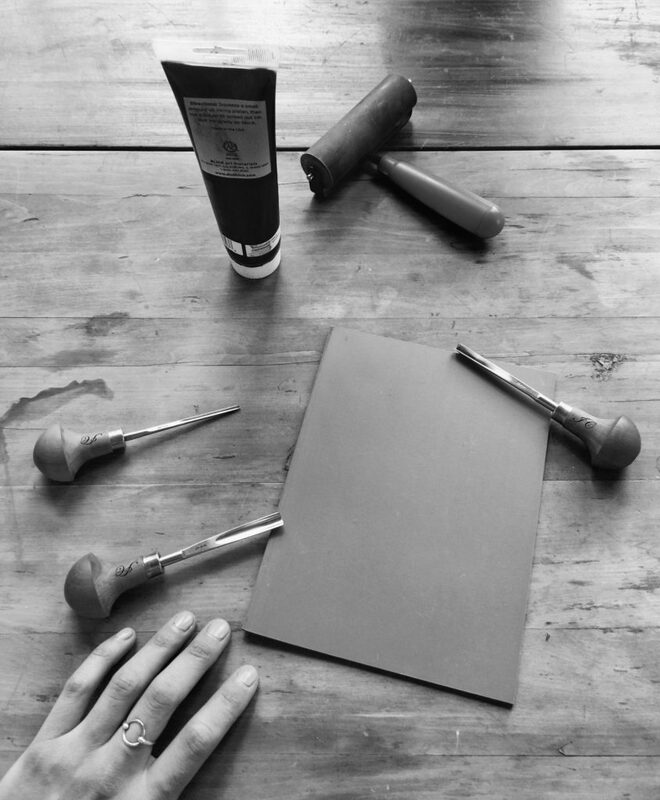 I use a whole range of beautiful Pfeil carving tools made from pear wood to carve varying levels of detail into the linoleum. Once I’ve finished carving (and finished a few podcast series in the process) I pull test prints to see where more work is needed. I’ll go back and forth between test prints and carving until I achieve a print I really like. 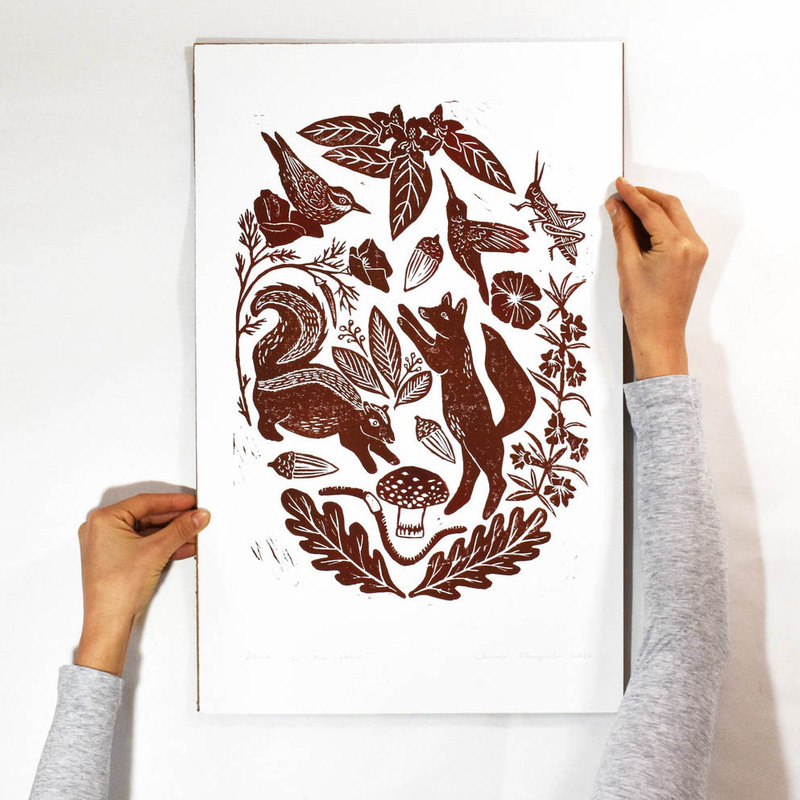 Then I’ll prep some acid-free paper and finish the final print! You can find my work online at www.ineschapela.com or visit my page www.ineschapela.com/events to find out where I’ll be selling in person – come find me and say hi, I’d love to meet you! I’ll be at the Art Star Craft Bazaar on May 12th + 13 at Penn’s Landing Great Plaza. 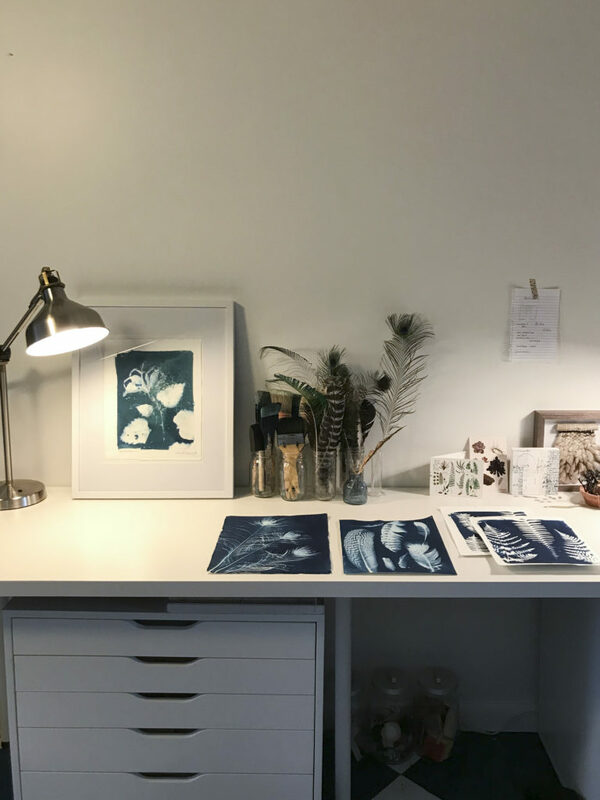 If you want to come along for the day to day creative process, you can follow me on Instagram @ines.si.studio or on Facebook @inessistudio. 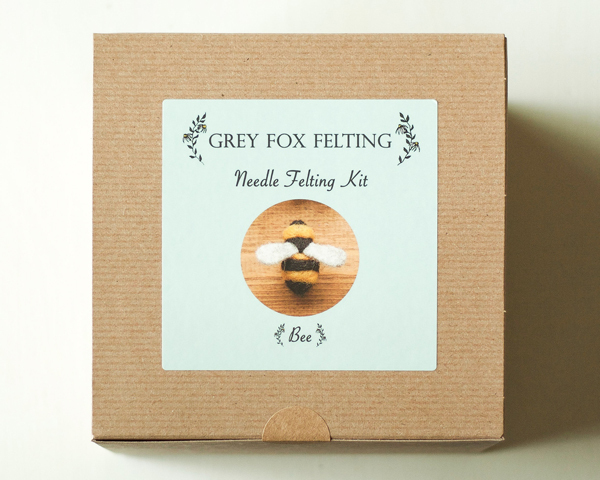 Hello, I’m Erin Gardner, the artist behind Grey Fox Felting. 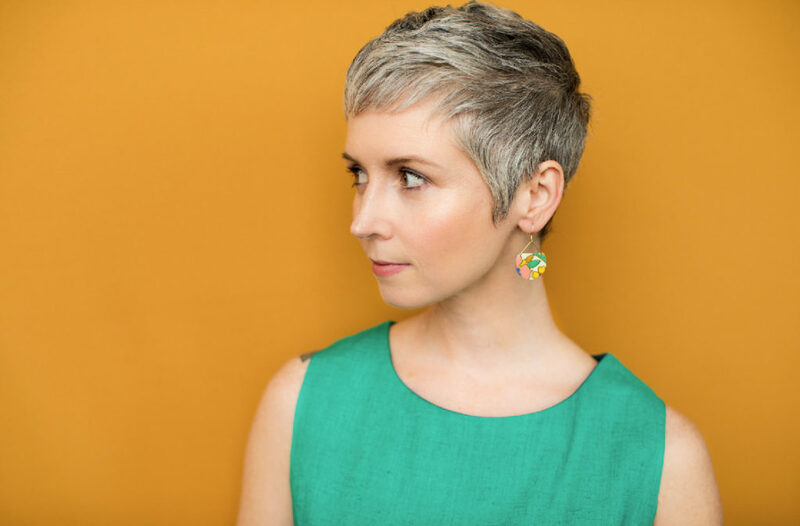 My decision to launch my business came after I had my first child. I wanted to build a creative career that would allow me to work from home. 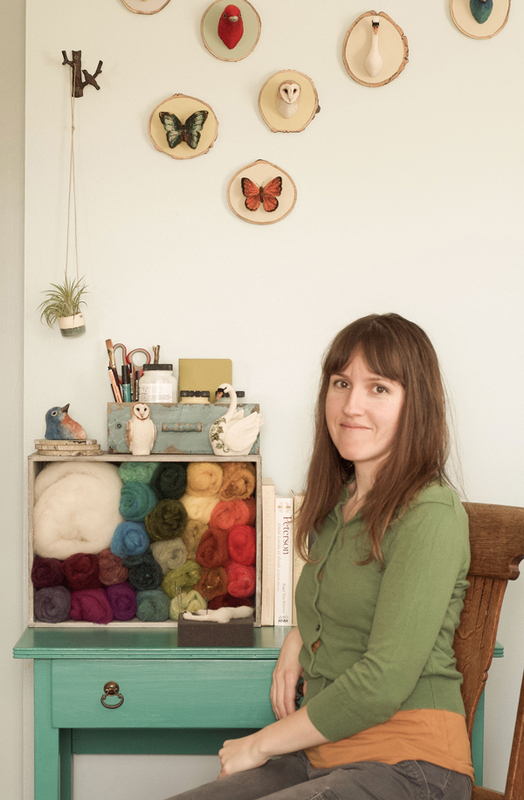 An artist all my life, I had earned my MFA in painting, and I had taught myself how to needle felt after stumbling upon some felting materials in a small art supply store in southern Vermont several years earlier. My fascination with this art form has continued to grow since then. 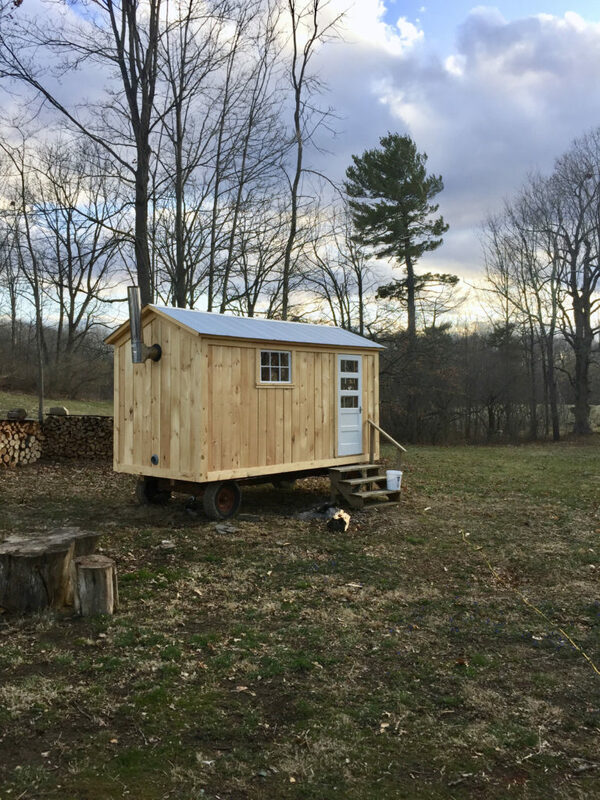 I still work out of a home studio, where you’ll find me when I’m not building with blocks, running around outside, or reading to my two daughters. 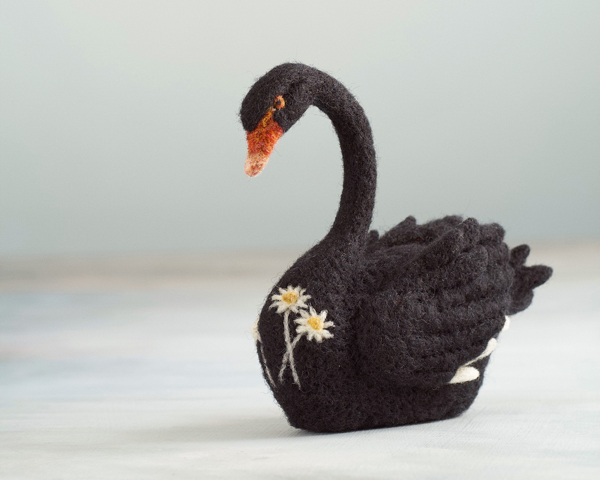 For those who are curious or may be new to needle felting, this portable and meditative art form involves the use of a special barbed needle that is repeatedly poked into a bit of wool to lock the fibers together, forming felt. 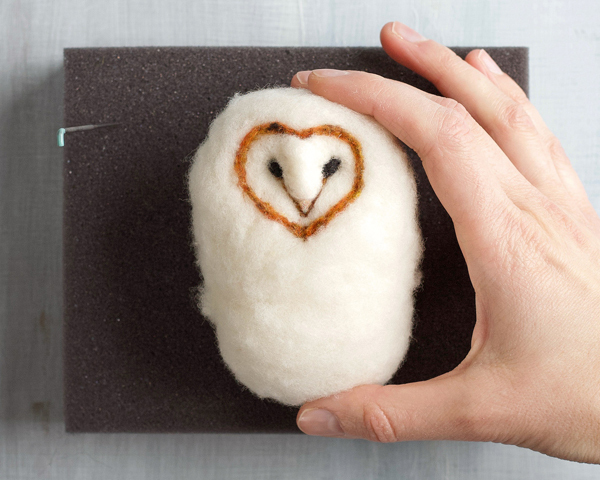 Concentrated pokes in any area of the wool result in it becoming smaller and denser, thereby allowing one to sculpt a three-dimensional form. Different colors and layers can be added to build up the form and create detail. I love seeking out different animals to portray, and I often learn new facts about them in the process, be it scientific or symbolic. 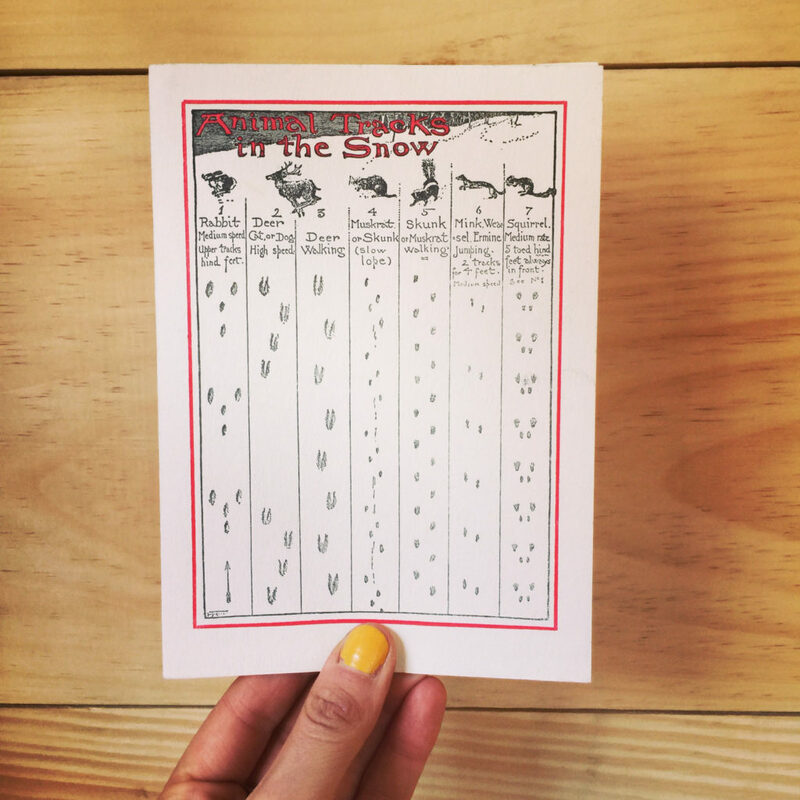 Each animal has a unique story. I also adorn some of my animals with floral and botanical imagery that is specific to either their geographic region or their cultural/symbolic significance. I have always admired arctic foxes, and it was while I was creating this one that I learned they are the only native land mammal in Iceland. 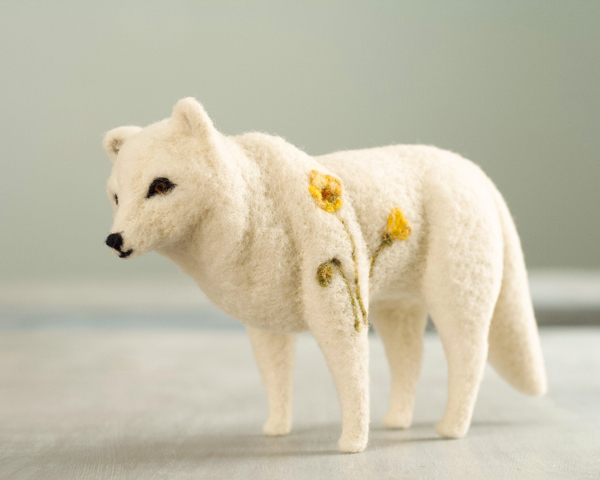 I chose to adorn this fox with arctic poppies, a flower that is native to Iceland. 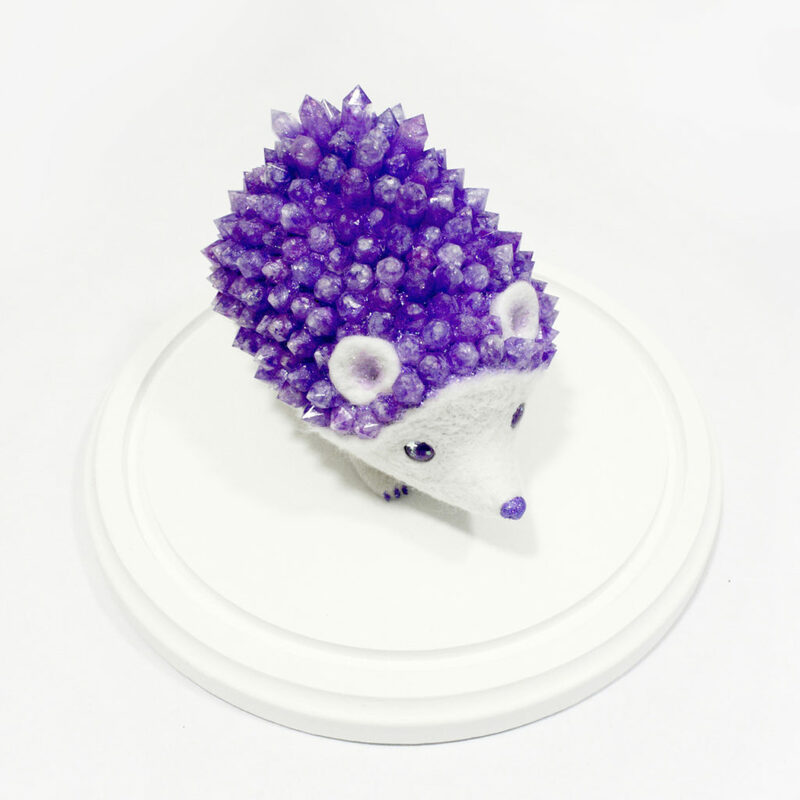 We are thrilled to announce our 2nd solo show with the dynamic duo that is Jordan Perme & Christopher Lees of the Cleveland, Oh based company, Horrible Adorables. 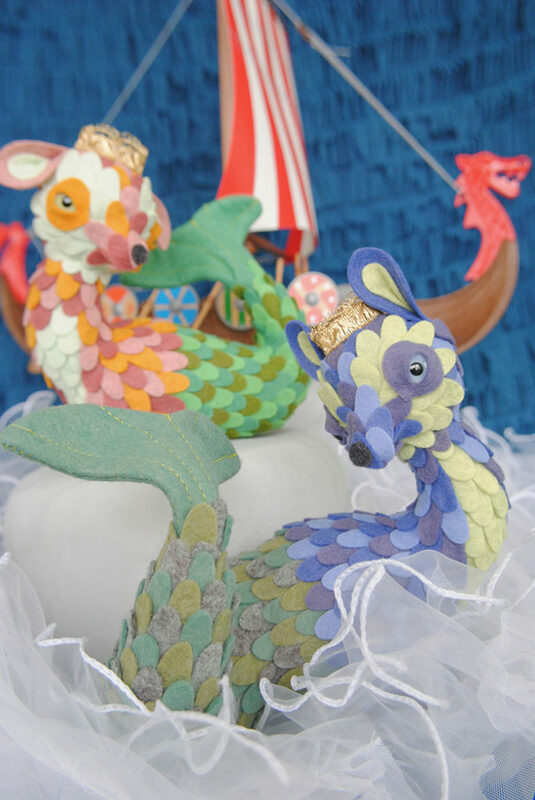 The exhibition, titled “Petite Tales” will feature a brand new collection of colorful felt creatures that are inspired by folklore and fairytales. 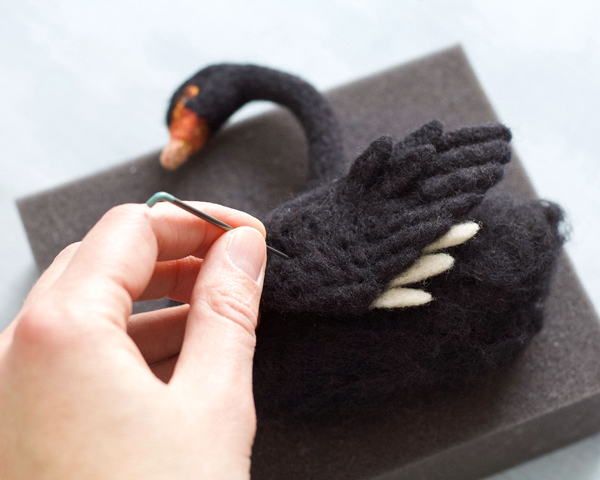 Fans of the popular faux taxidermy will delight in this new breed of enchanting story tellers! The exhibition will be up from April 14th – June 10th. There will be an opening reception with the artists on April 14th from 6-8pm. Please email us at info@artstarphilly.com if you are interested in a digital collector’s preview of the work.